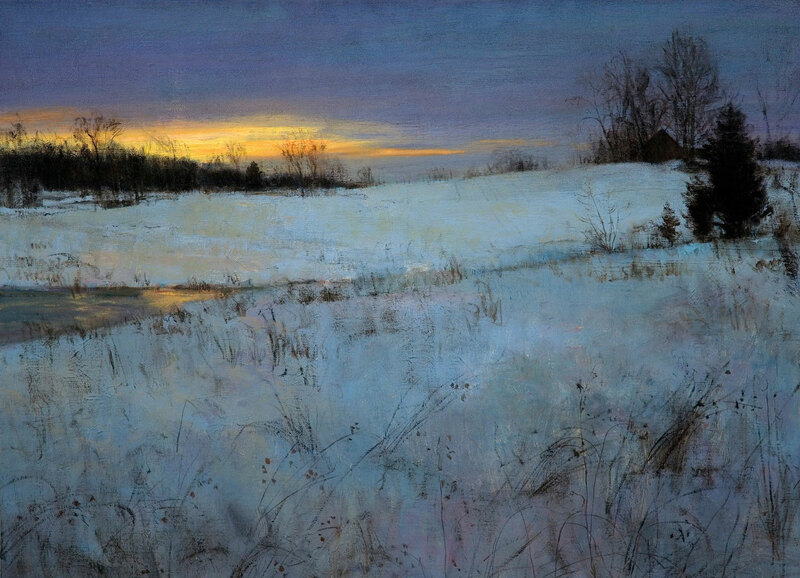 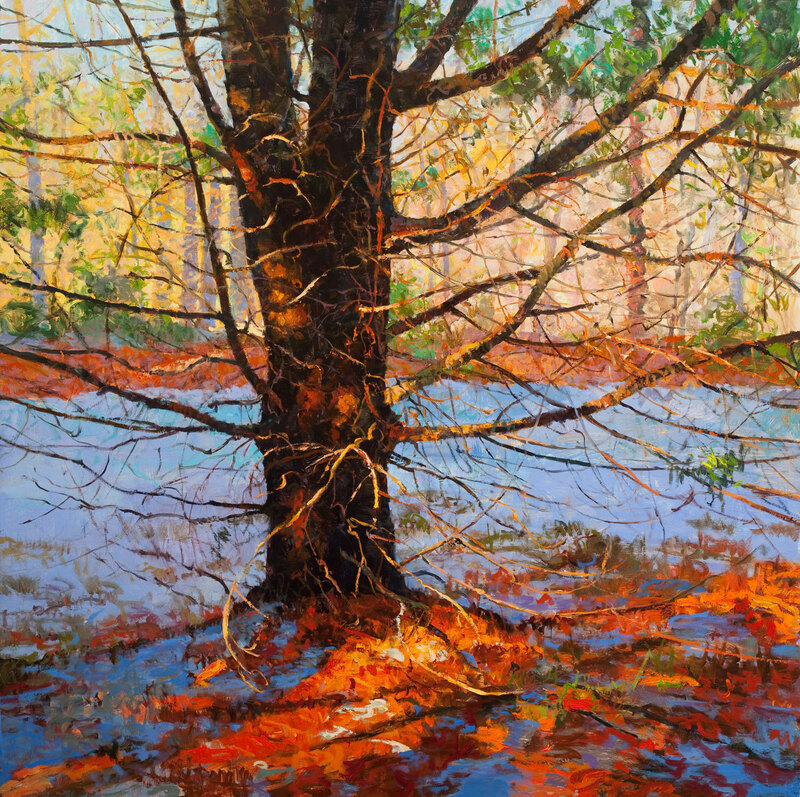 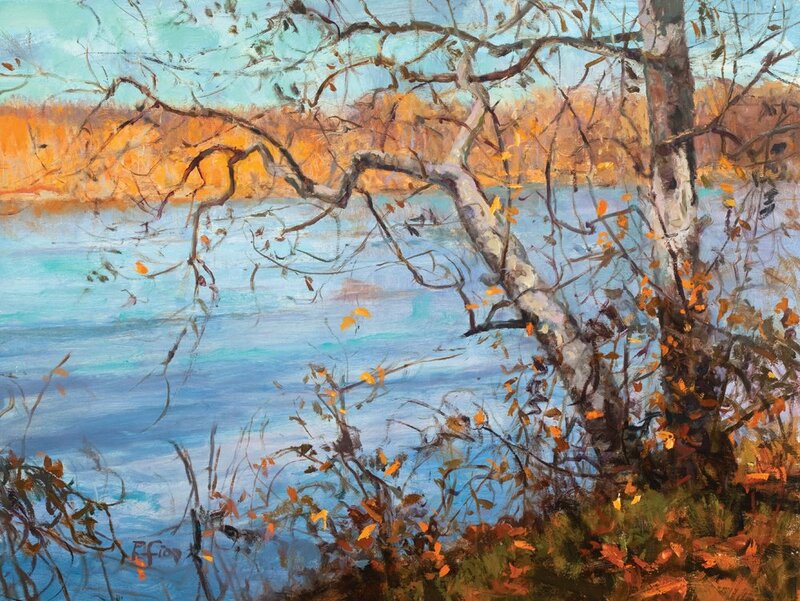 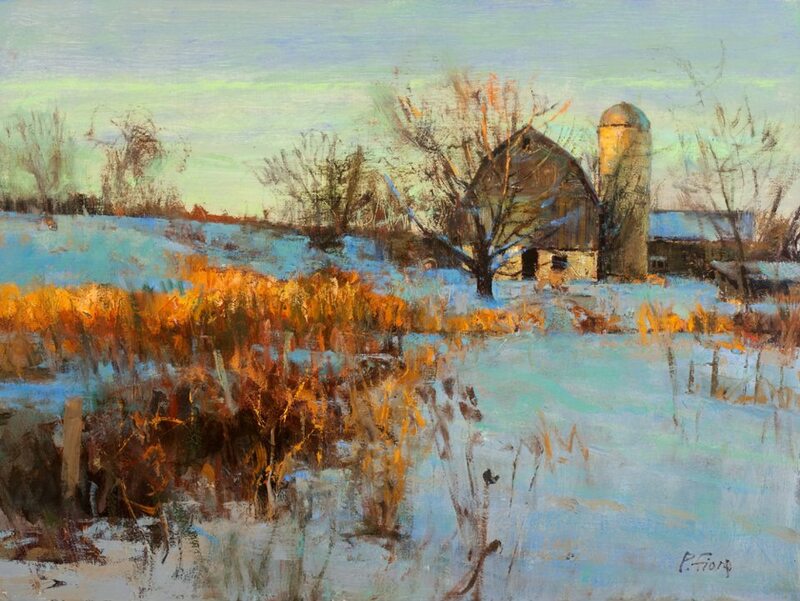 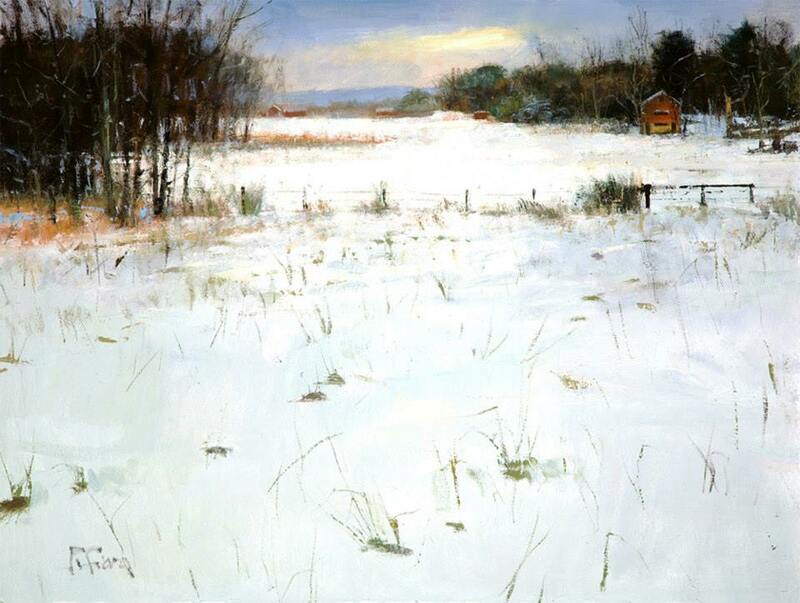 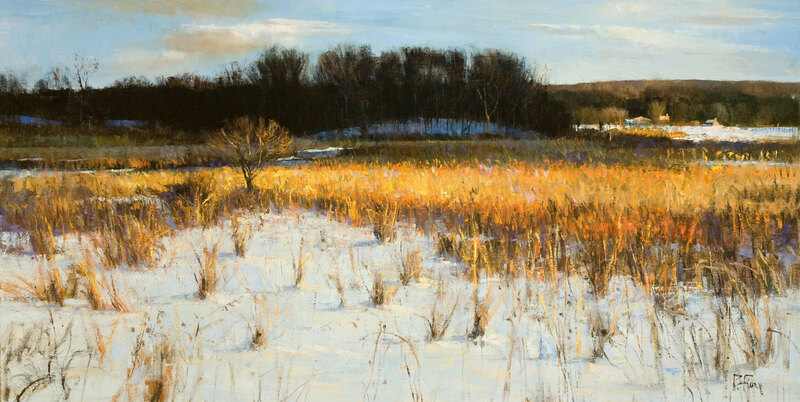 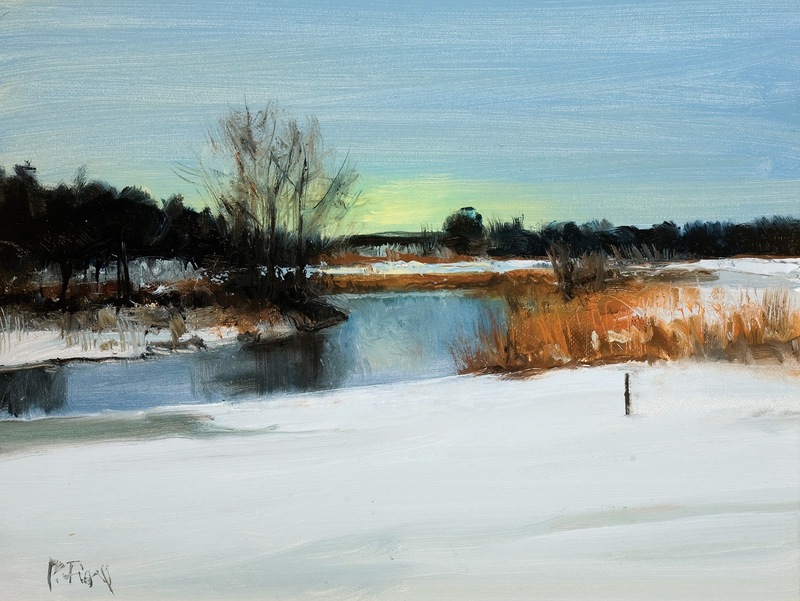 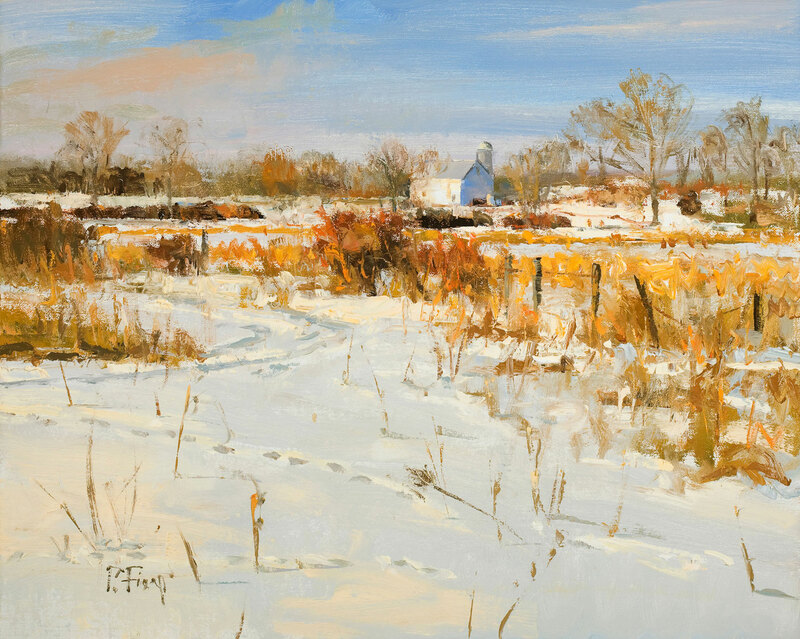 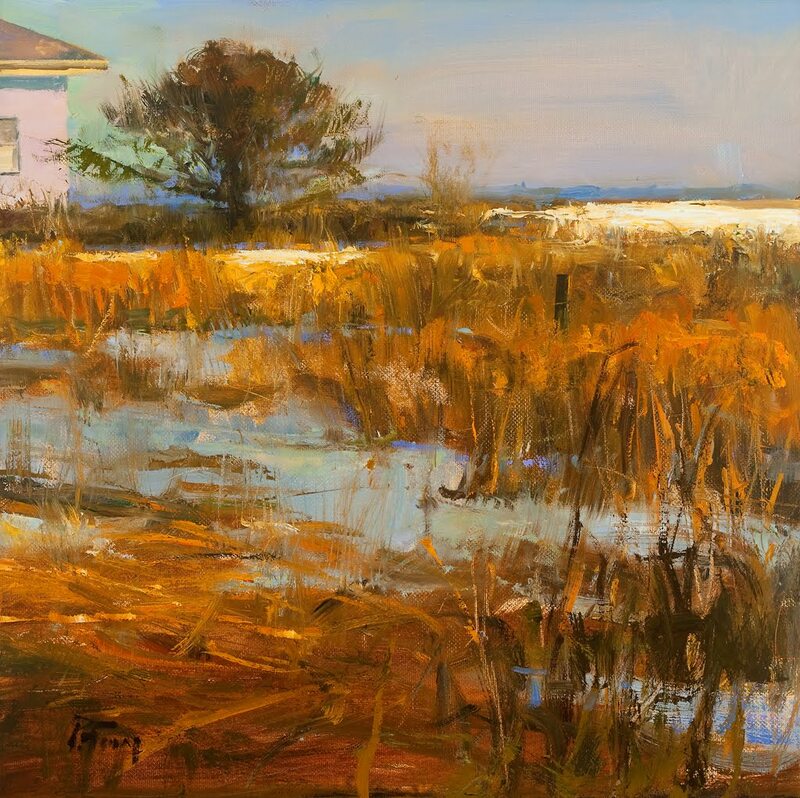 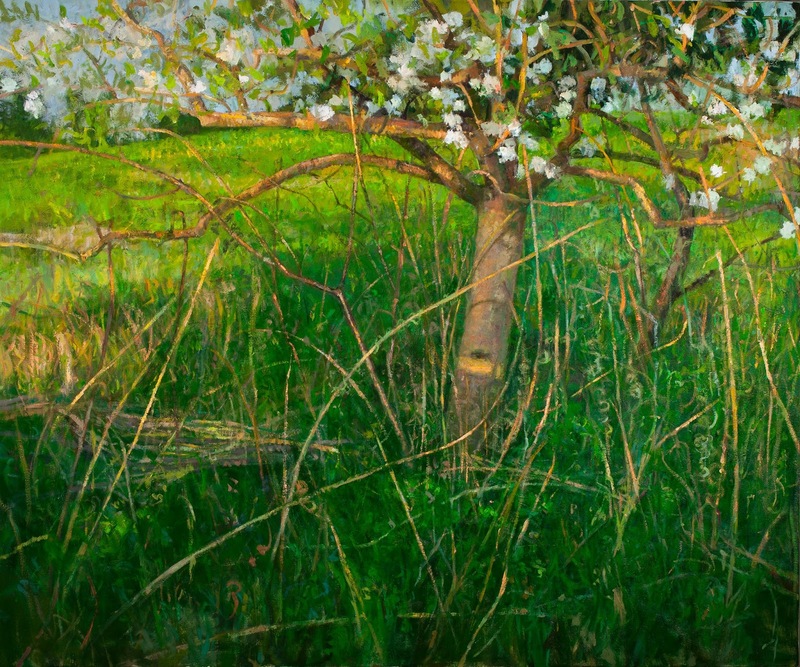 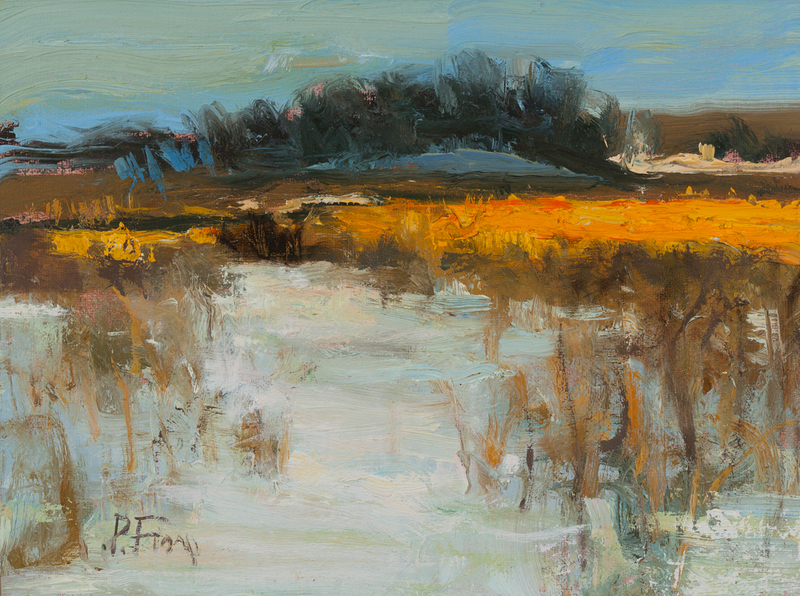 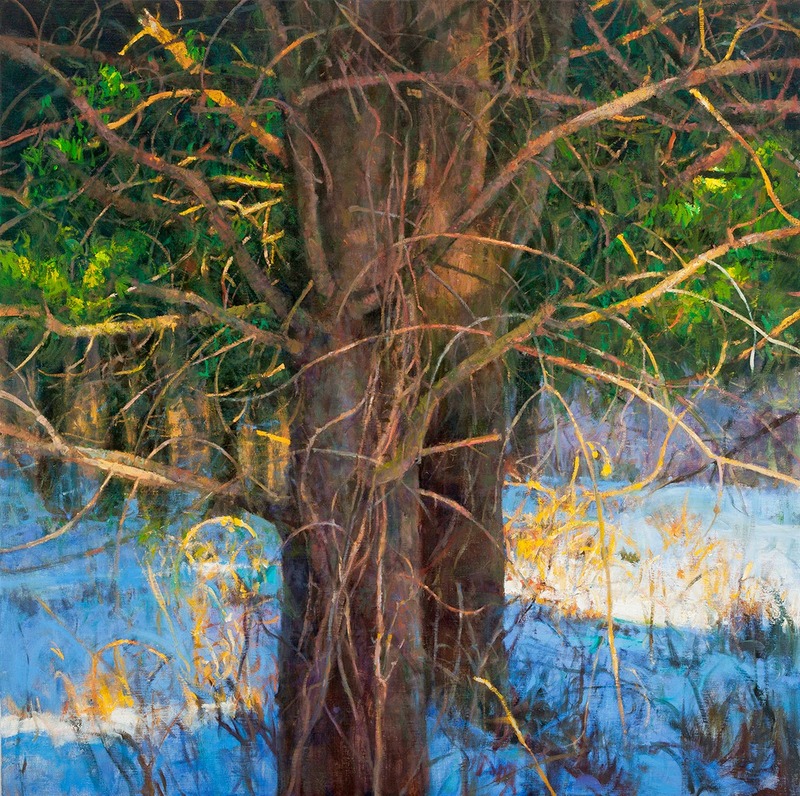 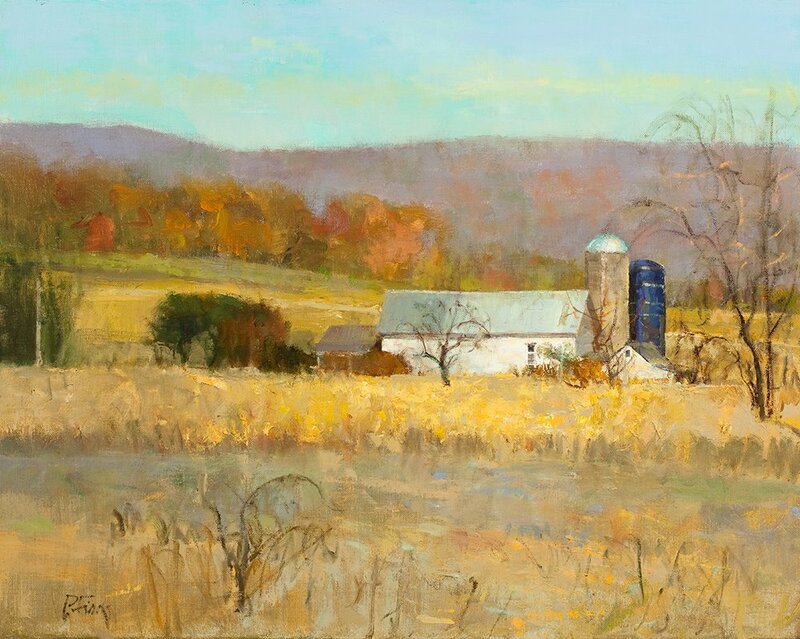 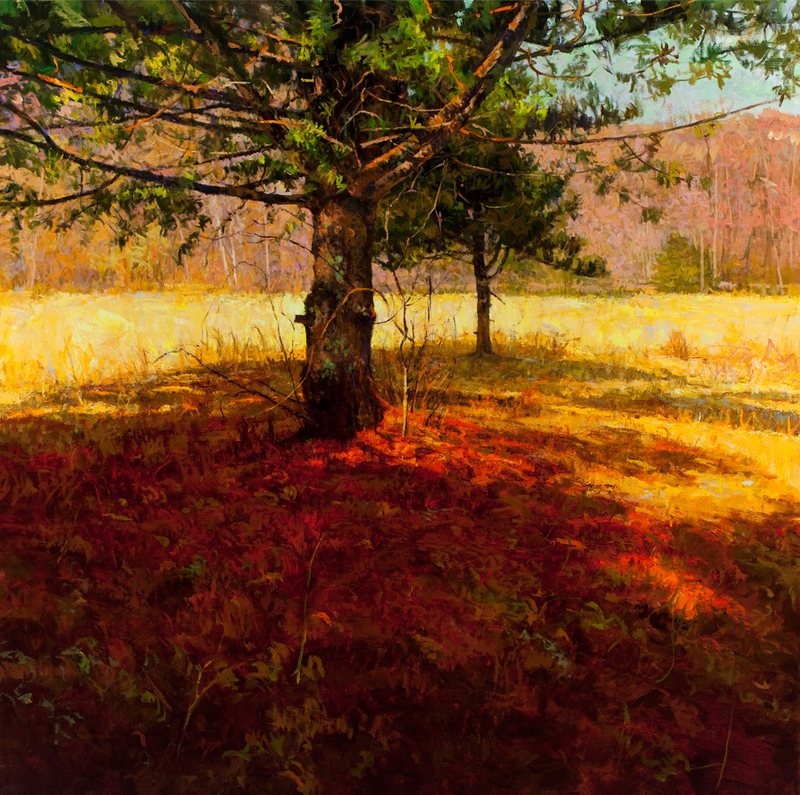 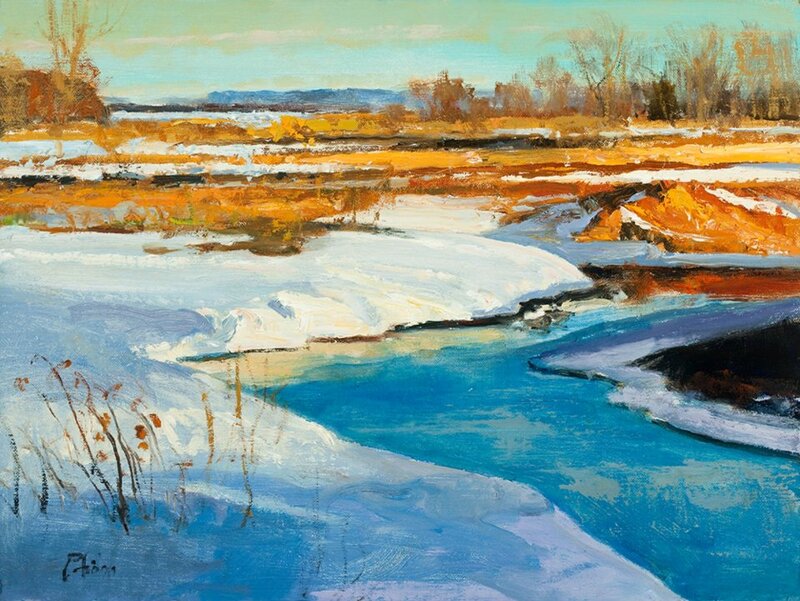 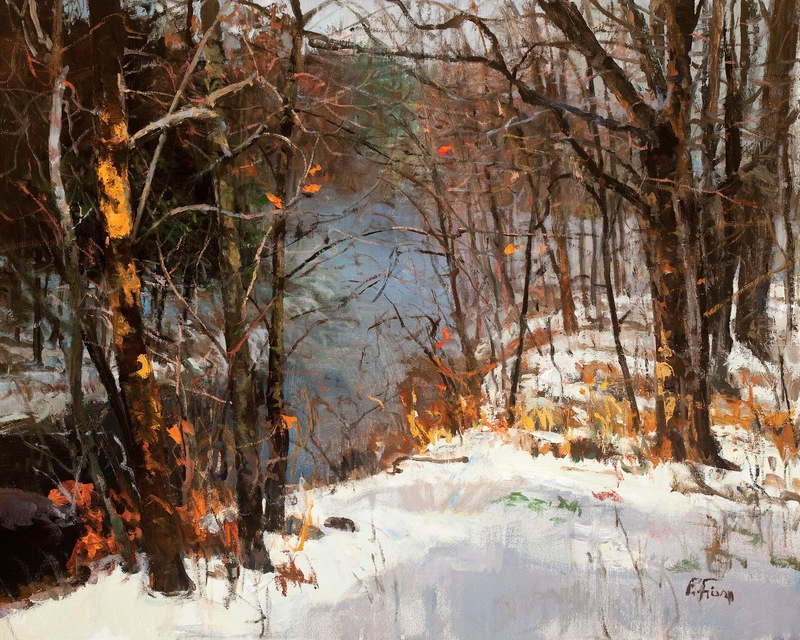 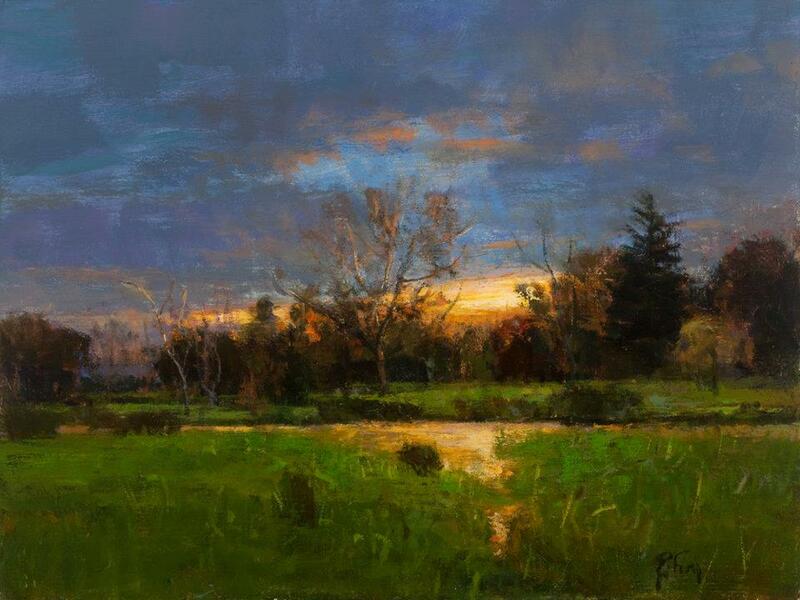 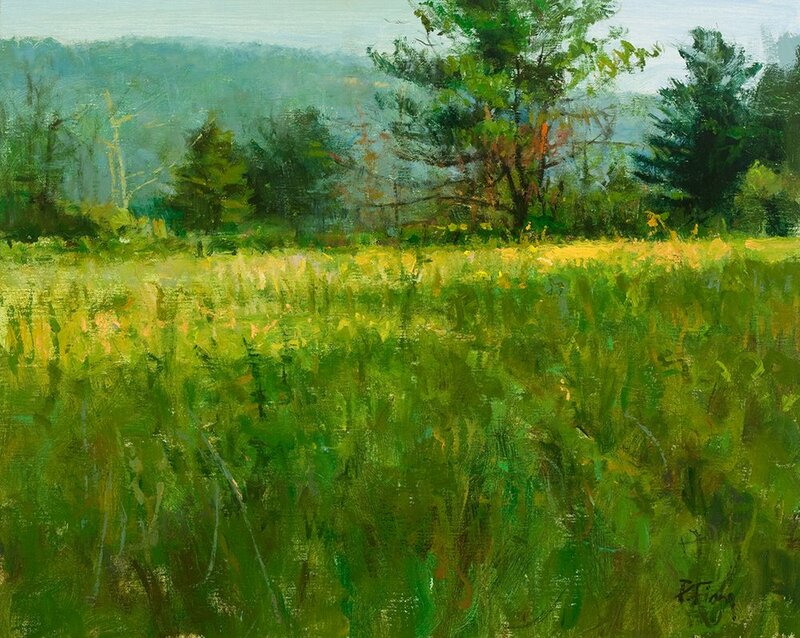 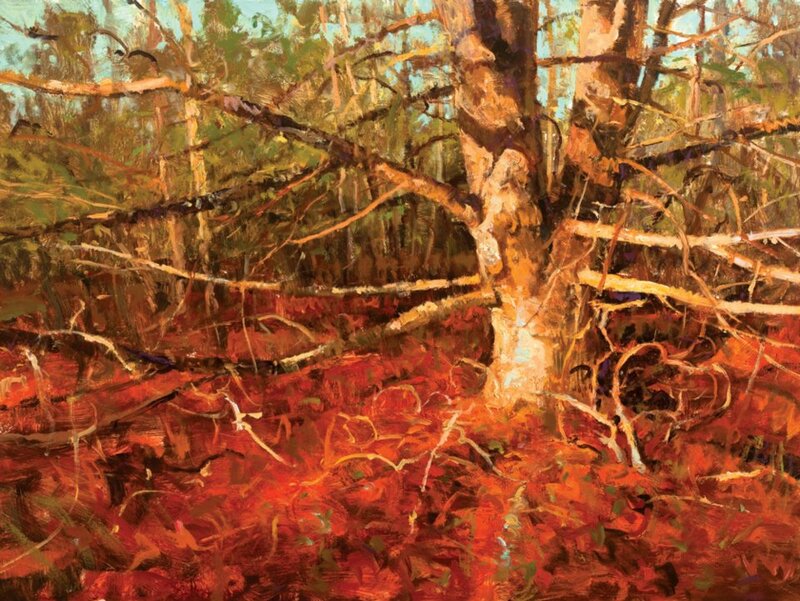 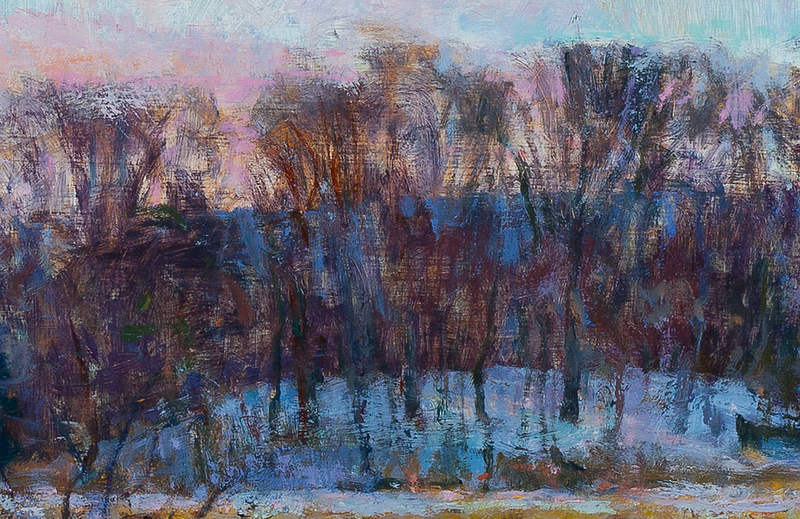 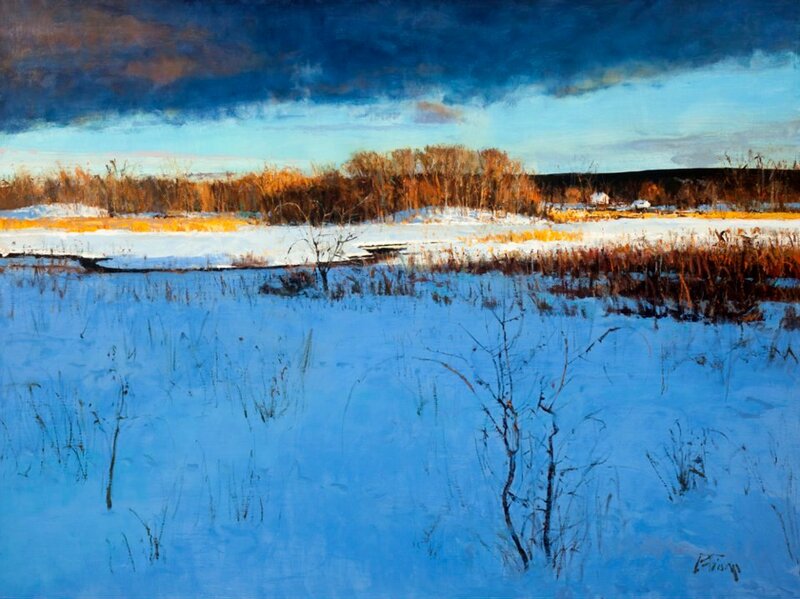 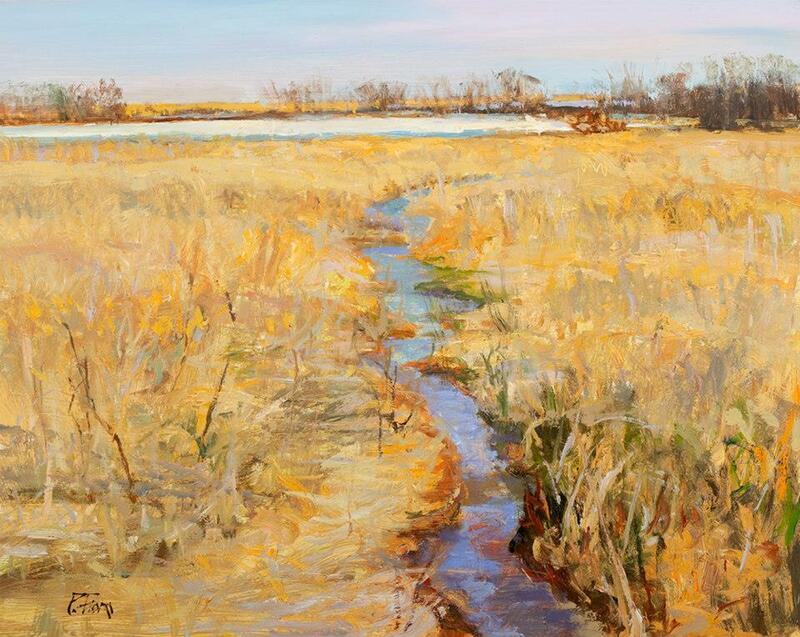 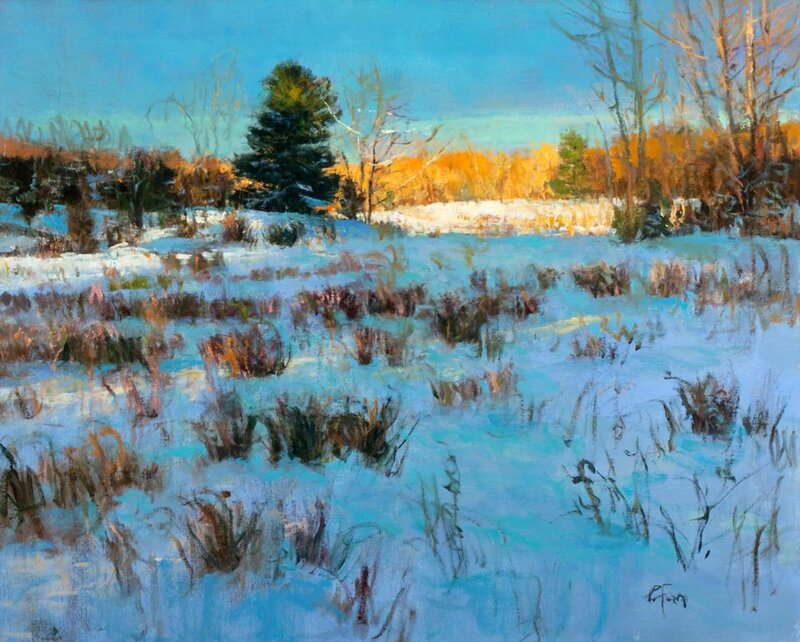 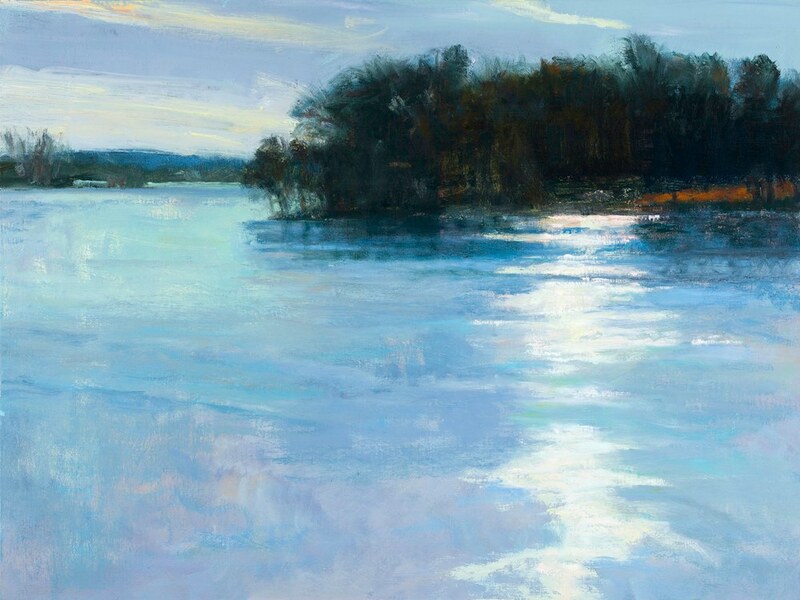 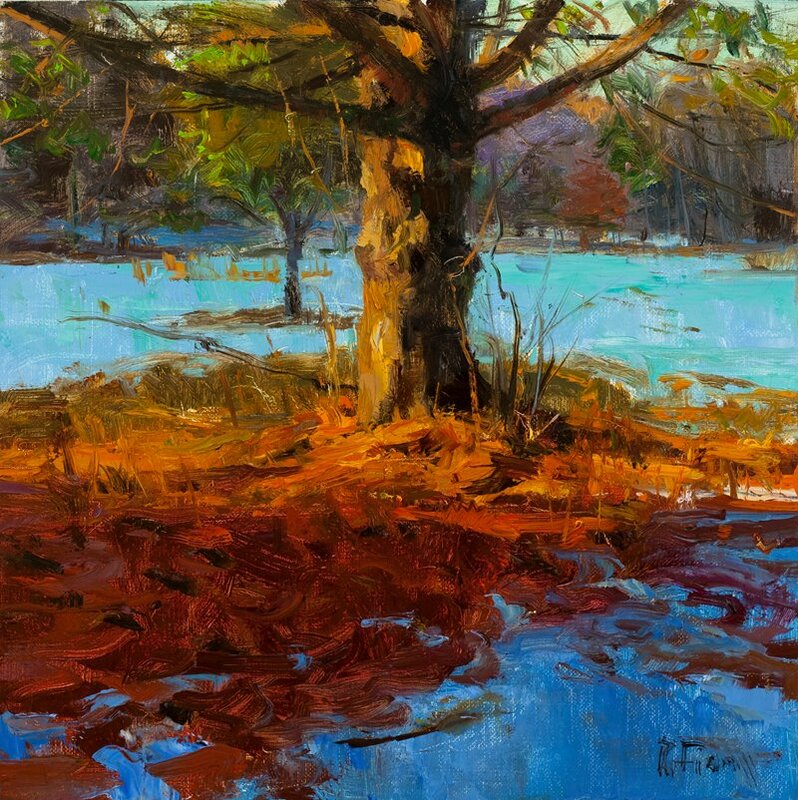 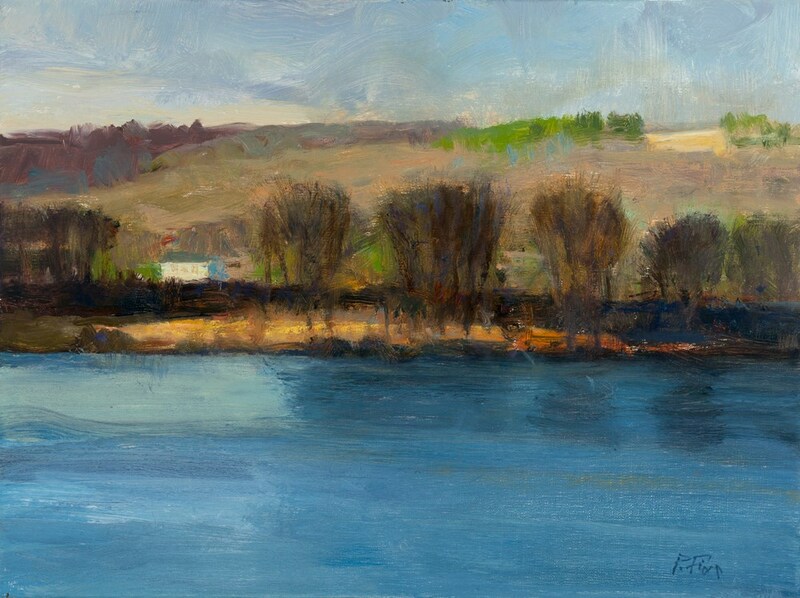 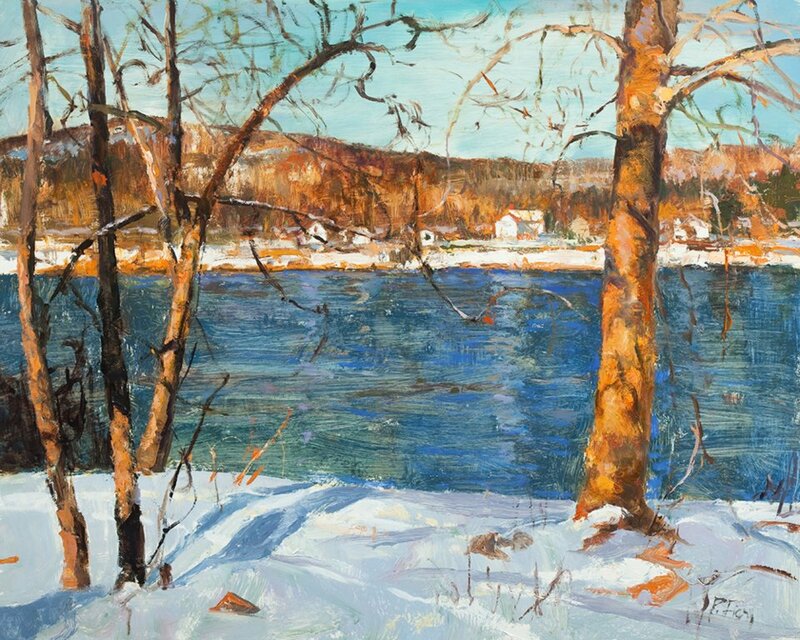 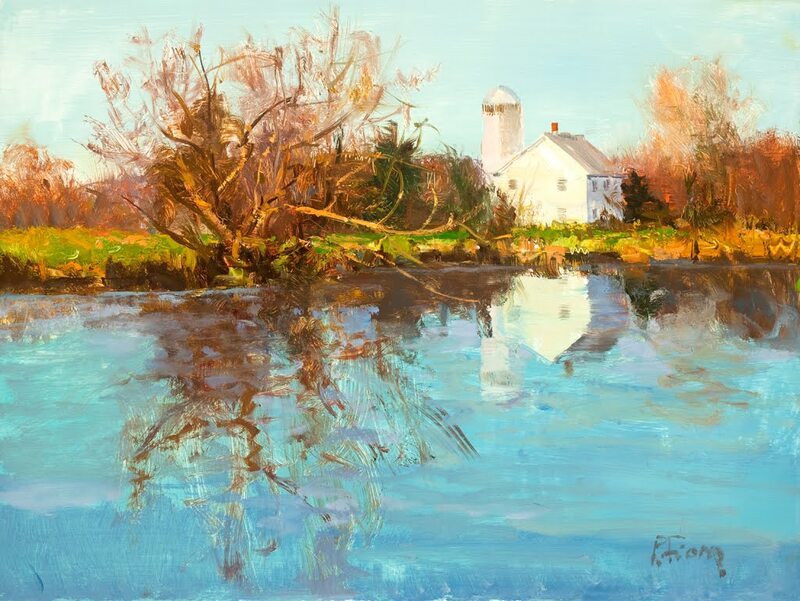 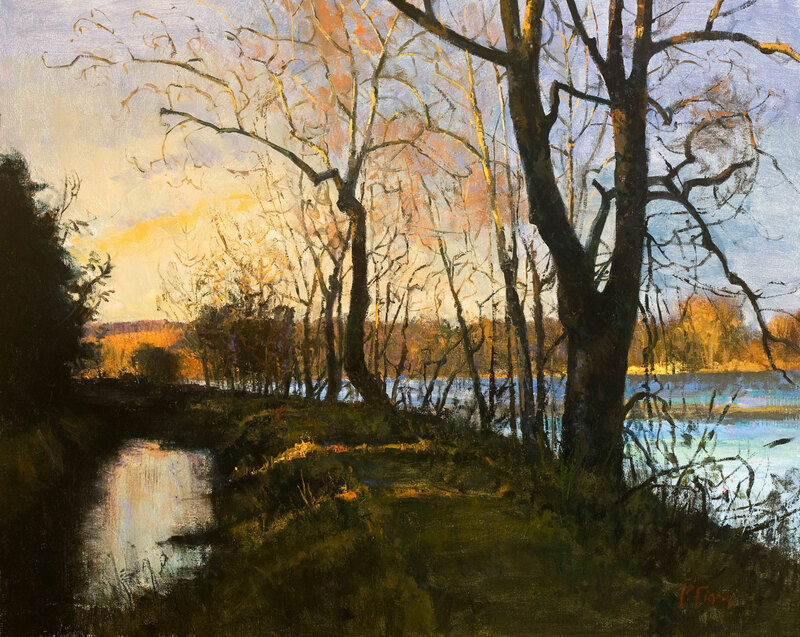 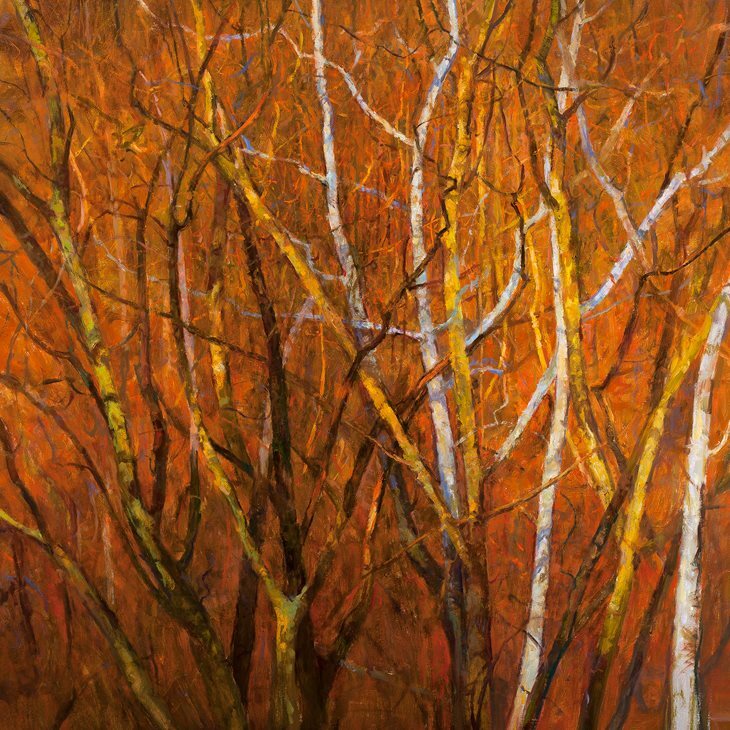 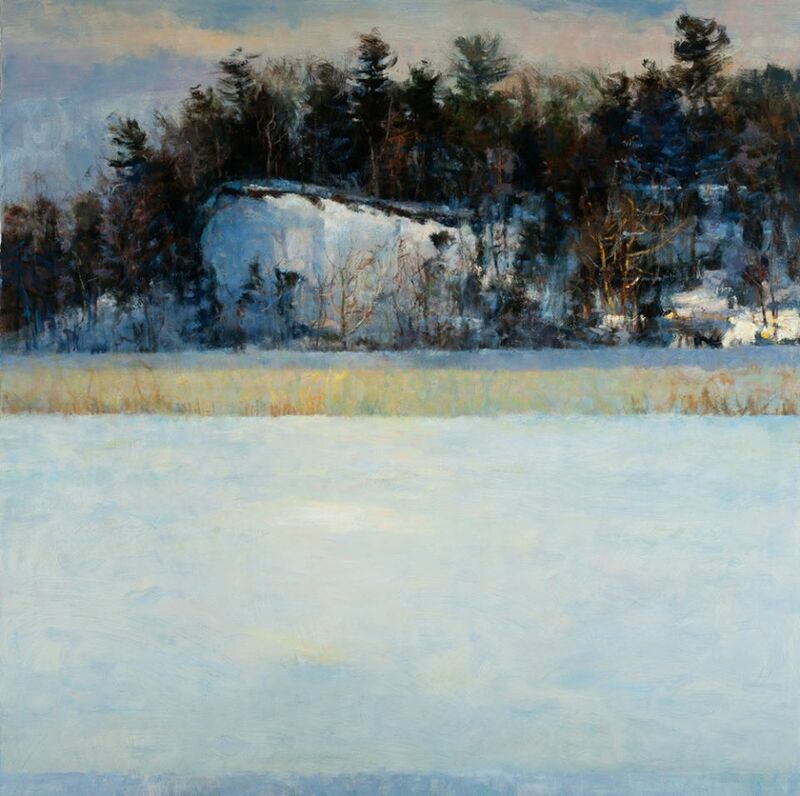 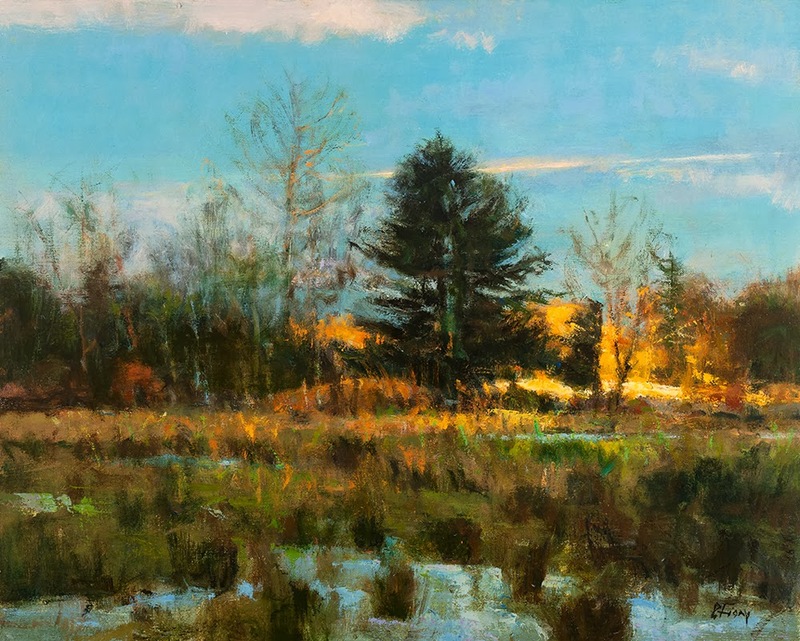 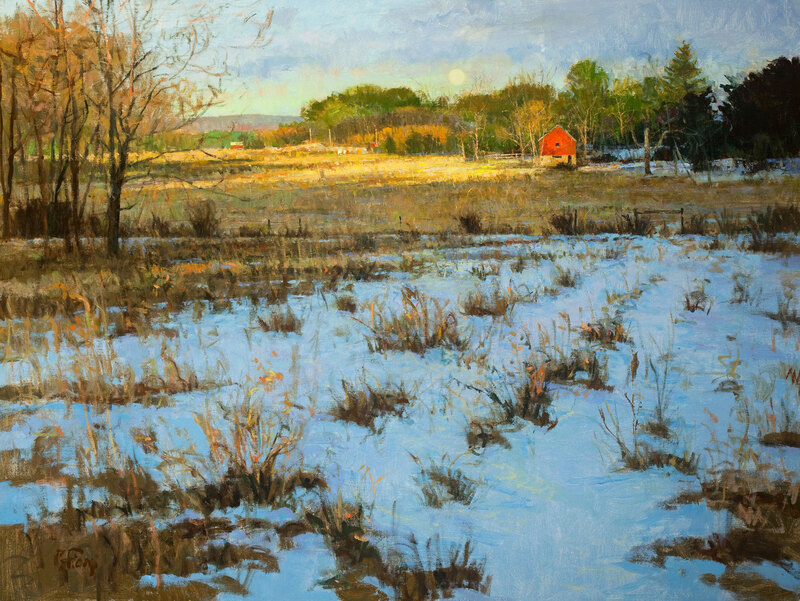 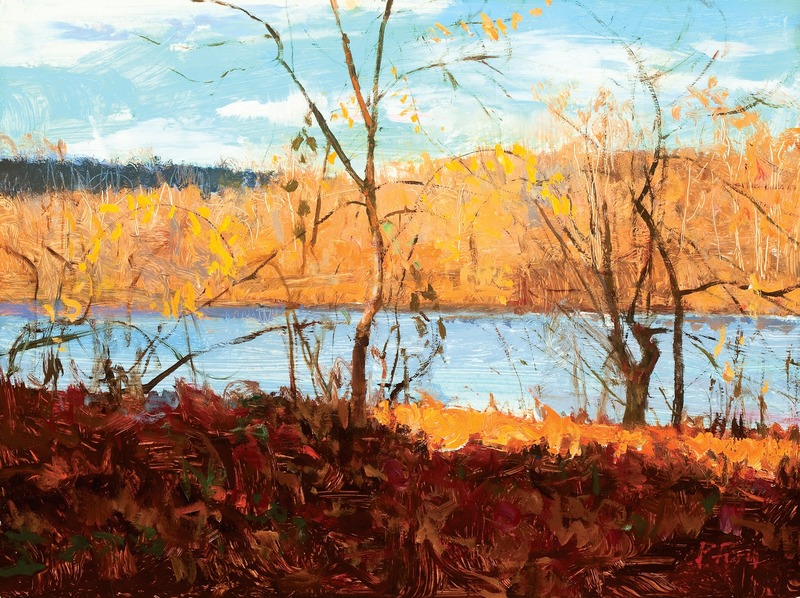 Peter Fiore is an American landscape painter who is best known for painting light and his striking use of color. 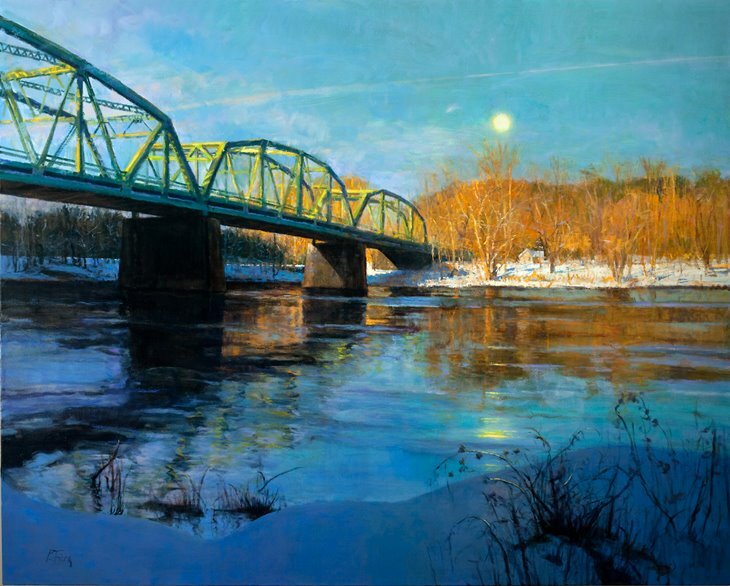 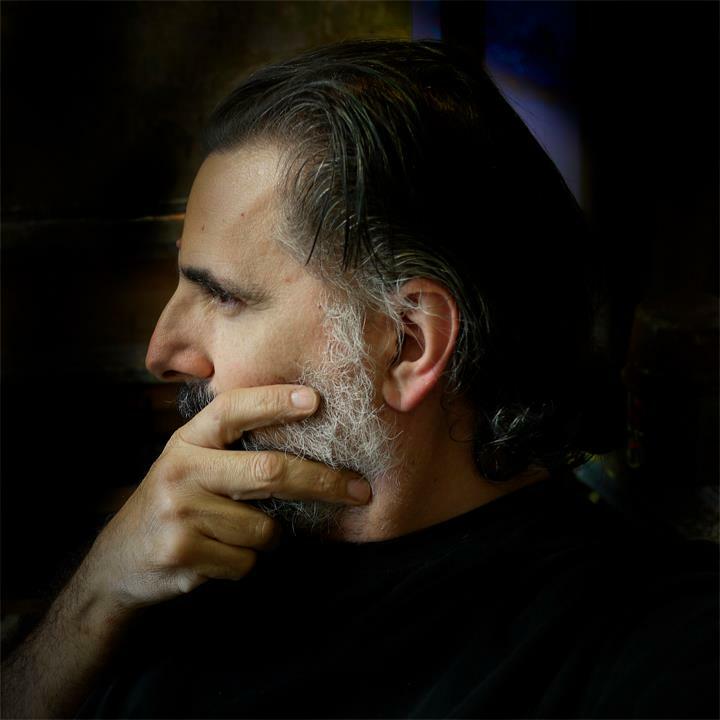 Previously, he worked as a professional illustrator where he collaborated on thousands of projects and won numerous awards. 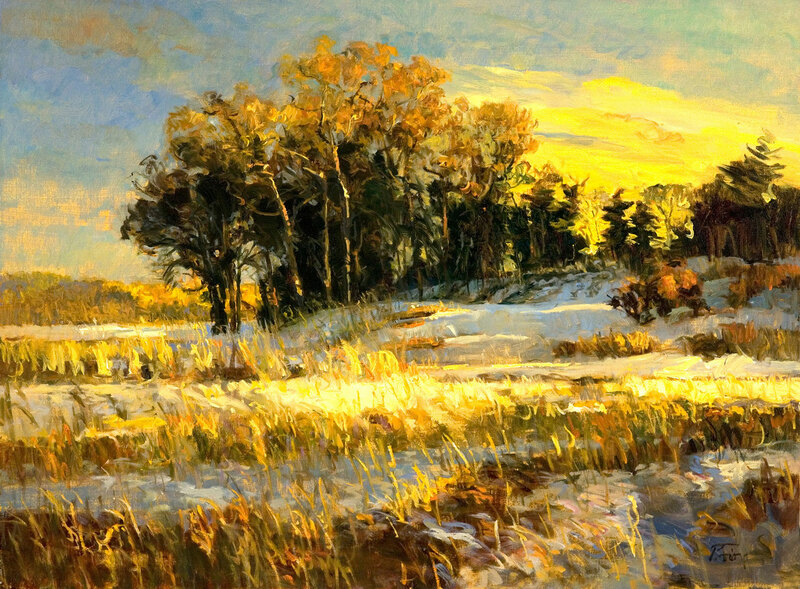 Today his landscape paintings are widely collected and are in many corporate and private collections. 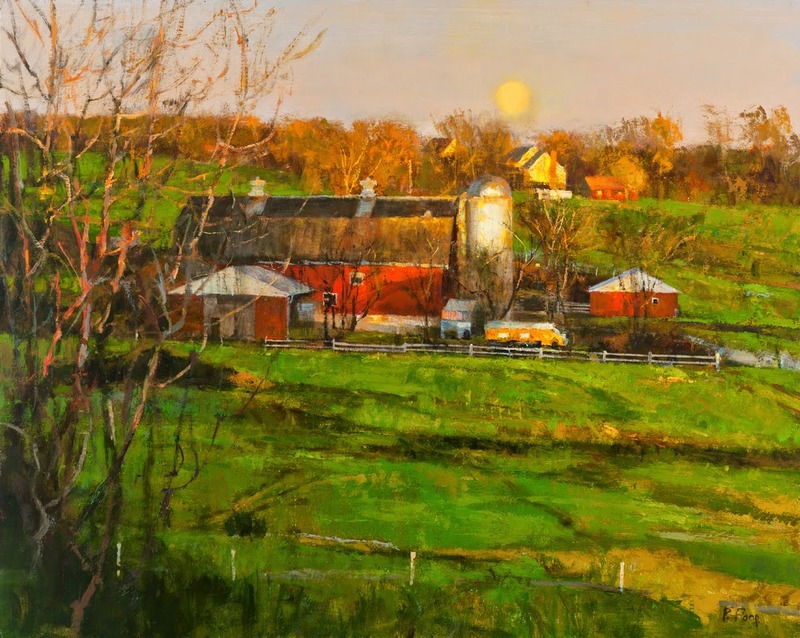 He has won numerous awards and has been featured in a number of publications including Fine Art Connoisseur as an "Artist to Watch". 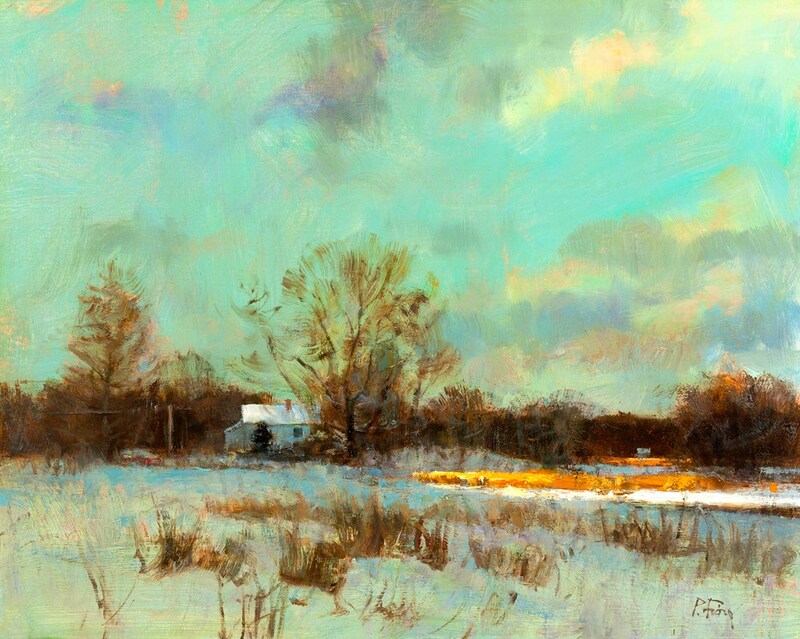 Peter was born in Teaneck NJ in 1955. 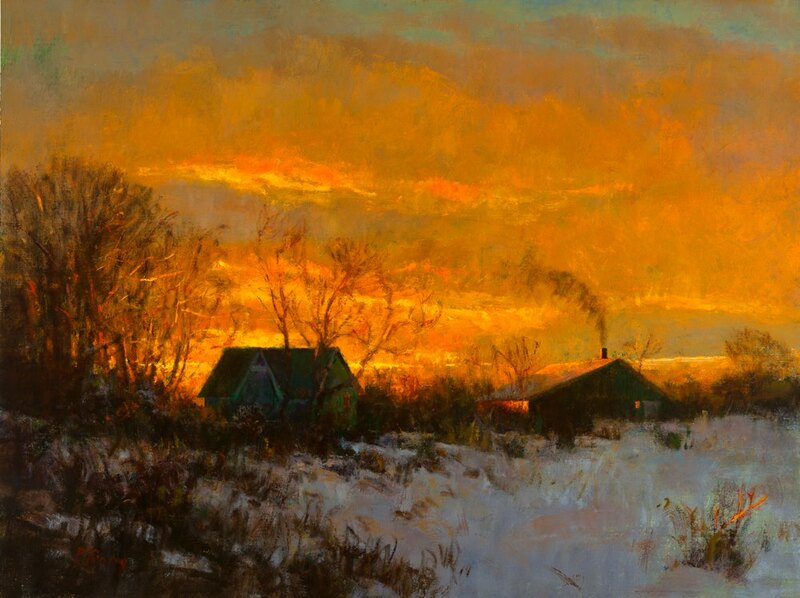 He studied at Pratt Institute and the Art Students League of New York. 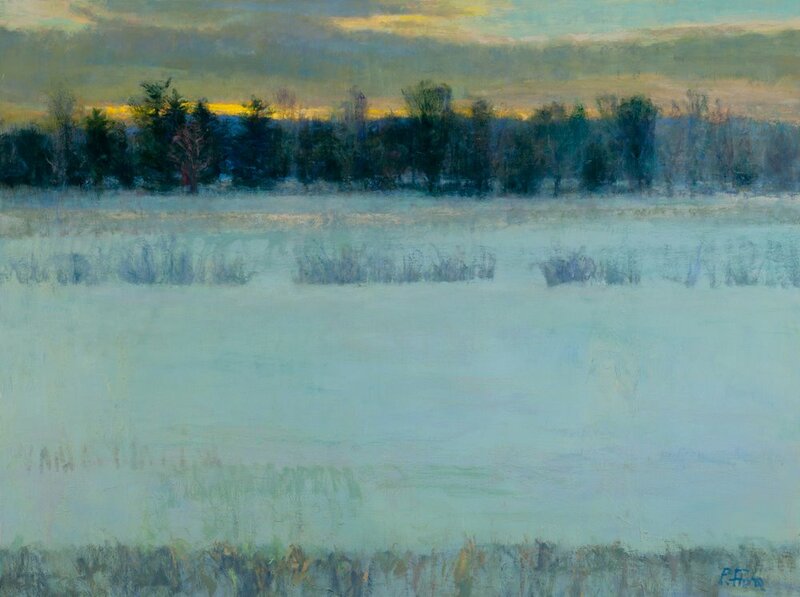 He has been on the faculty at Pratt Institute, Syracuse University and presently teaches at the School of Visual Arts in New York City. 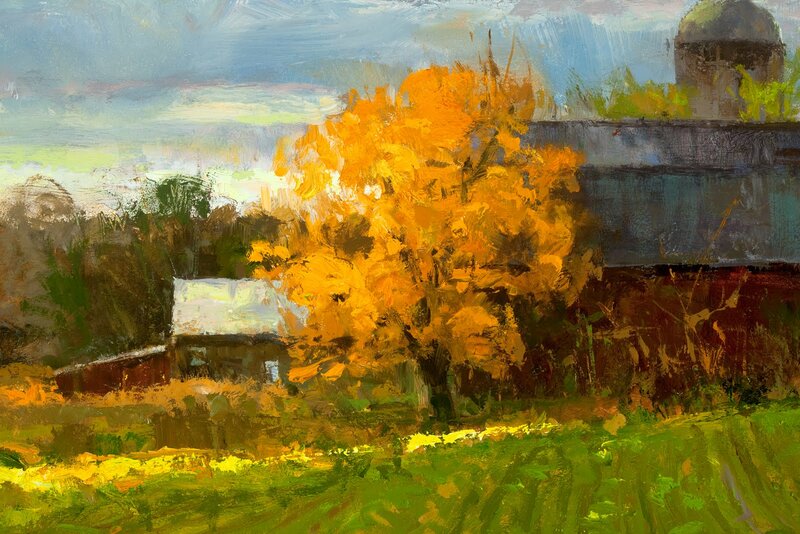 Peter has given numerous guest lectures and workshops on painting. 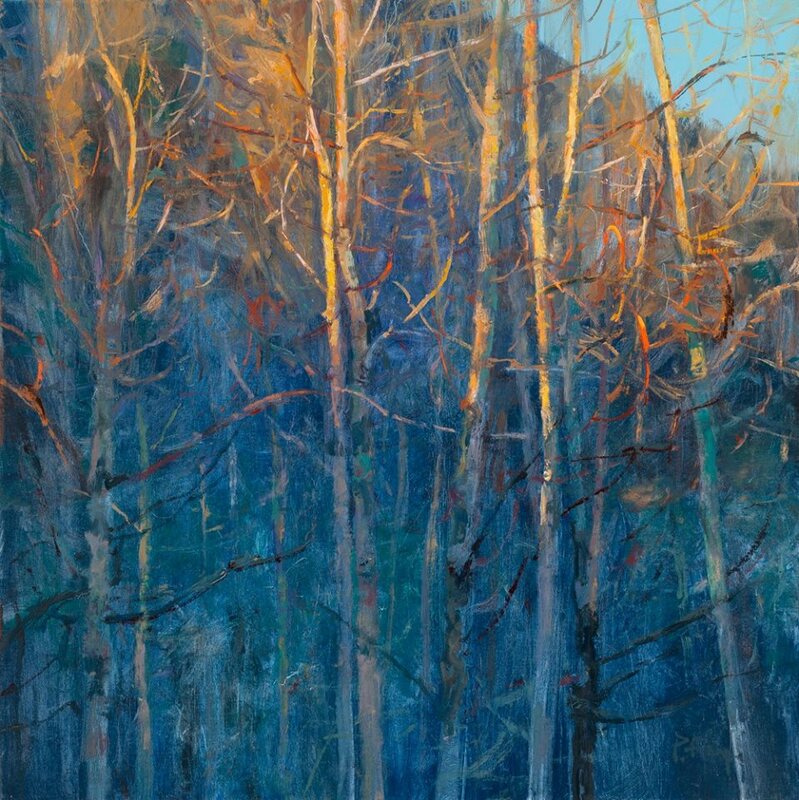 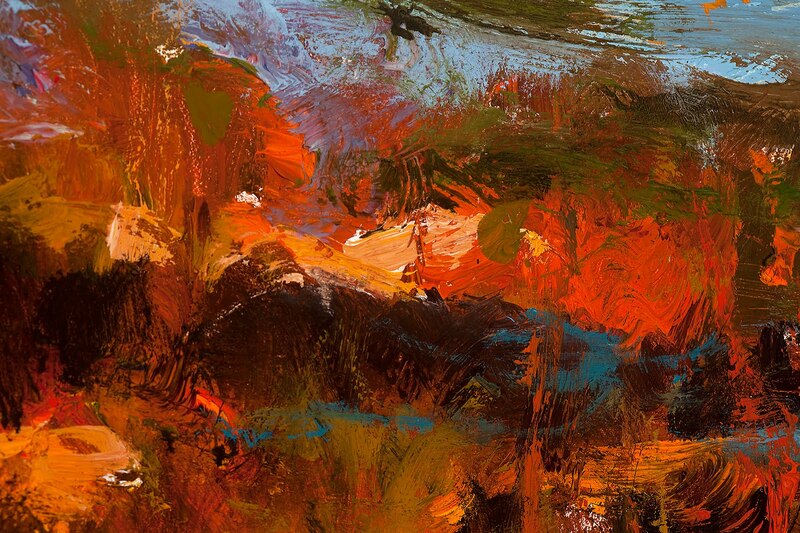 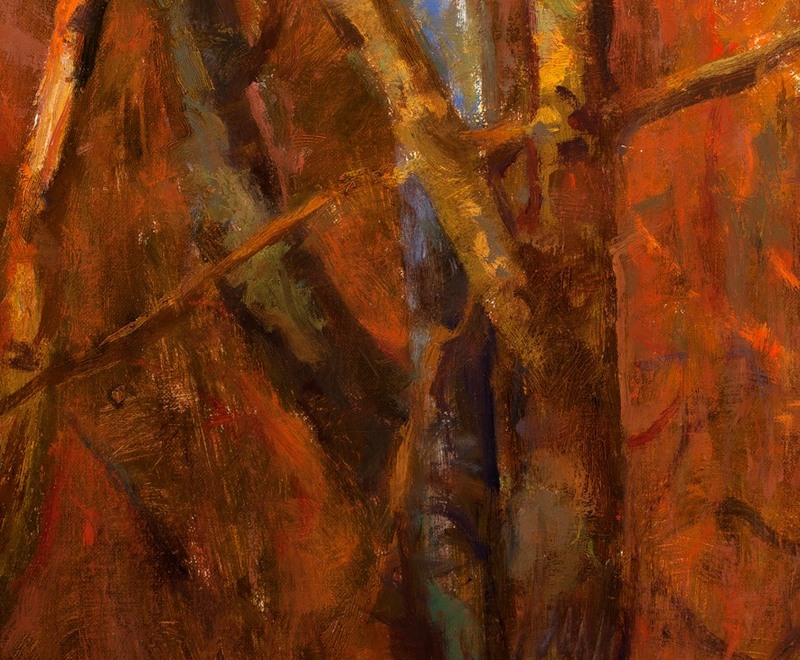 His work is represented in prestigious galleries across the country. Peter lives and works along the Delaware River in Pennsylvania. 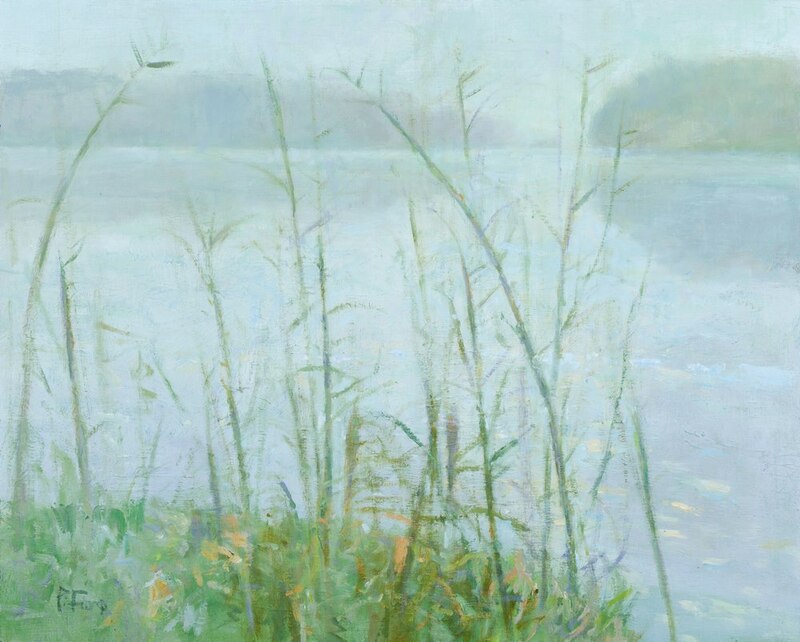 I am interested in making the simple profound, always searching for that universal moment in the world around us. 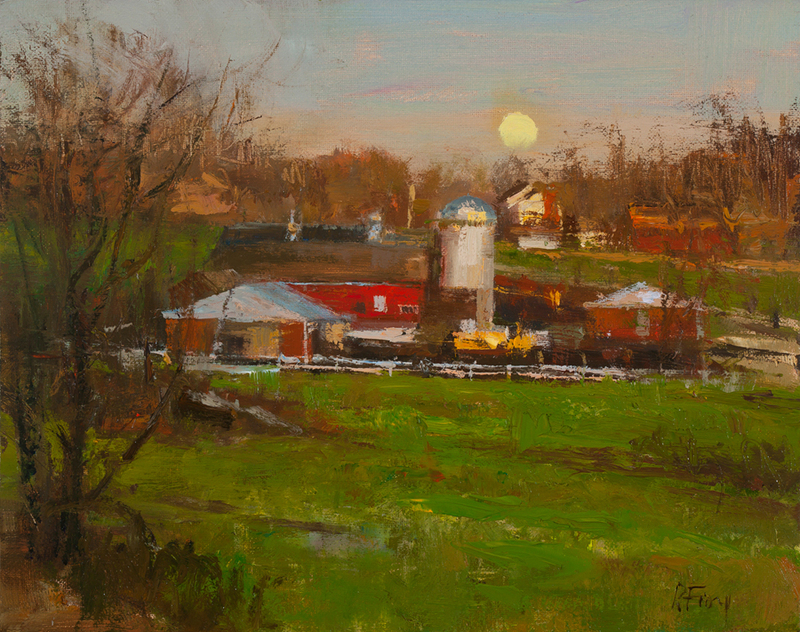 I draw inspiration for my landscape paintings from many places, but most of it comes from the fields and meadows near my home in rural Pennsylvania along the Delaware River. 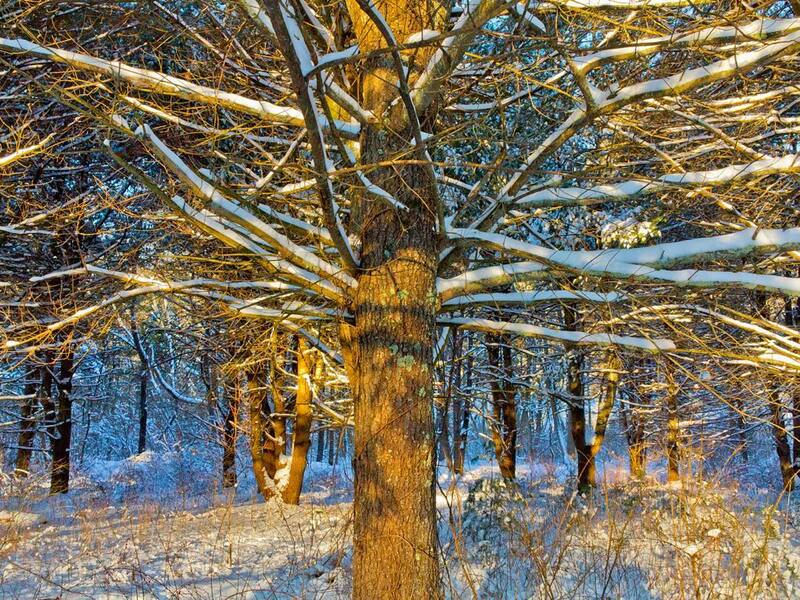 I used to think that I had to travel far to find interesting motifs, but now I just walk out my door and it's all there. 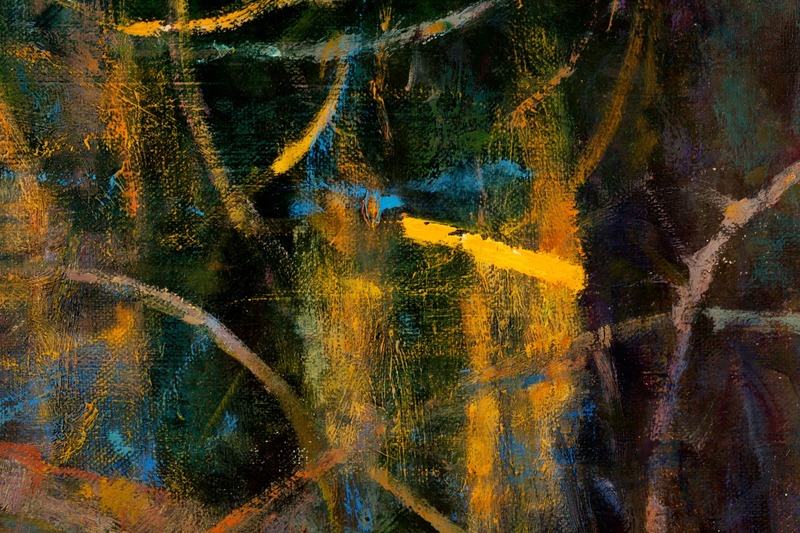 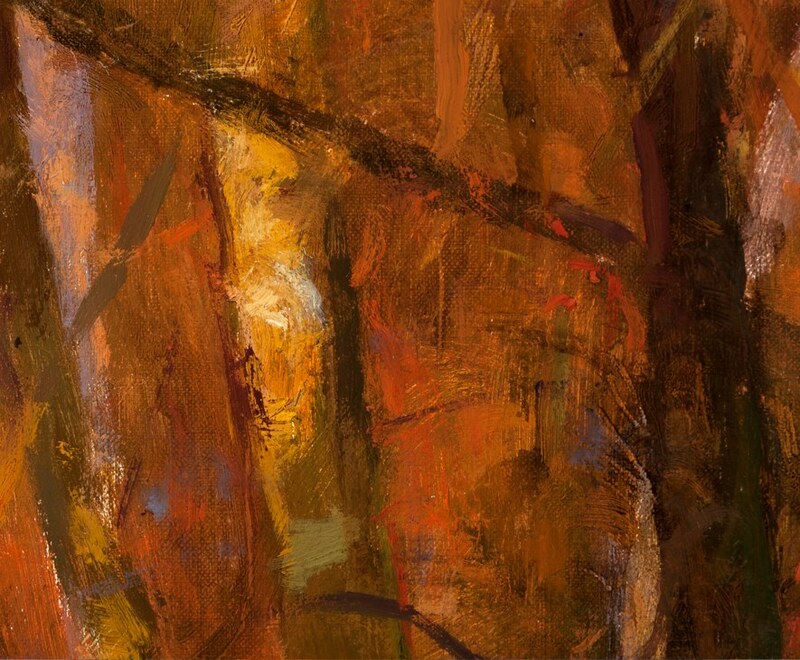 The abstract marks that I make are used to interpret nature's tangle. 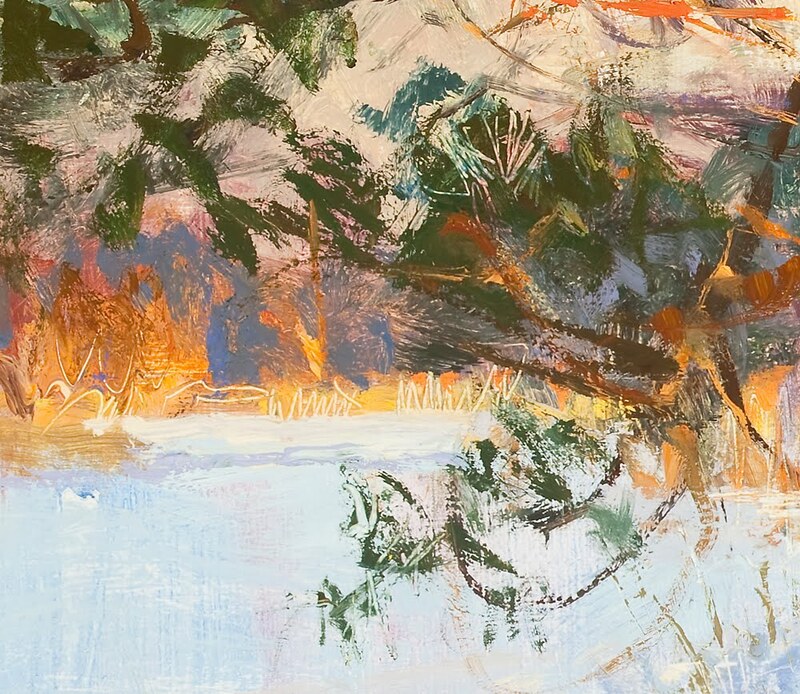 Making visual sense and constructing order by structuring shape, form, tone, color and rhythm to create a palpable reality. 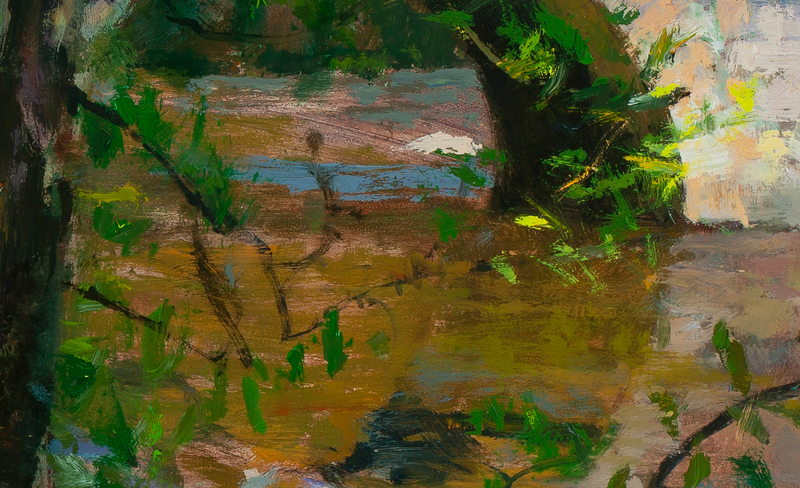 I like to visit a motif over and over again. 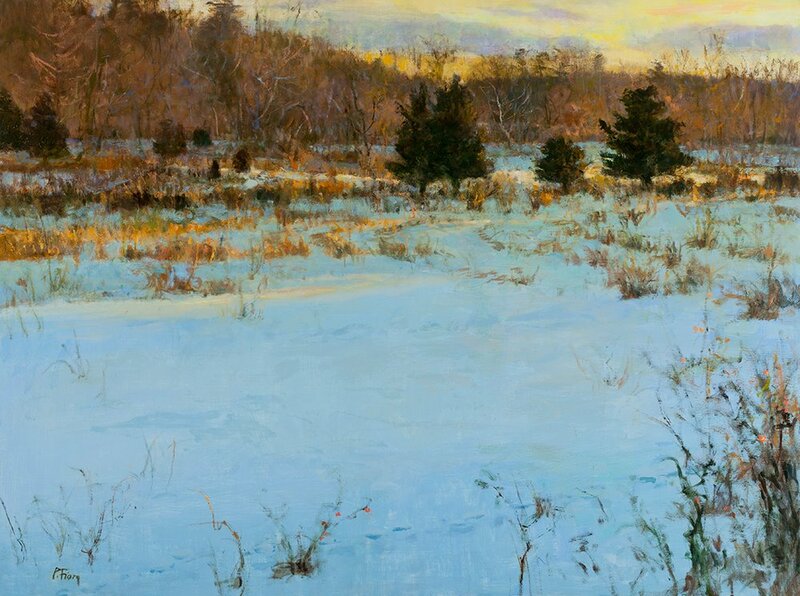 I am especially drawn to the winter landscape. 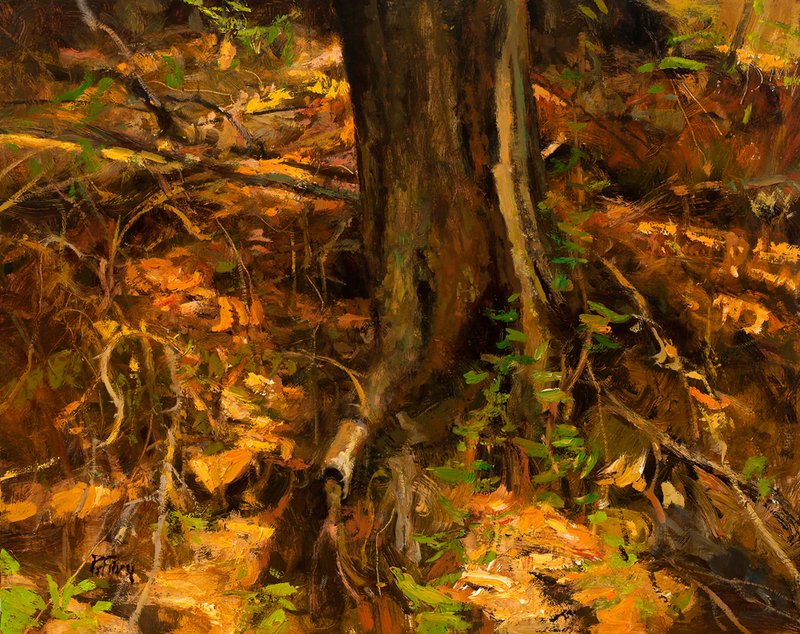 It is a time when the earth loses its leafy covering and reveals it's true self. 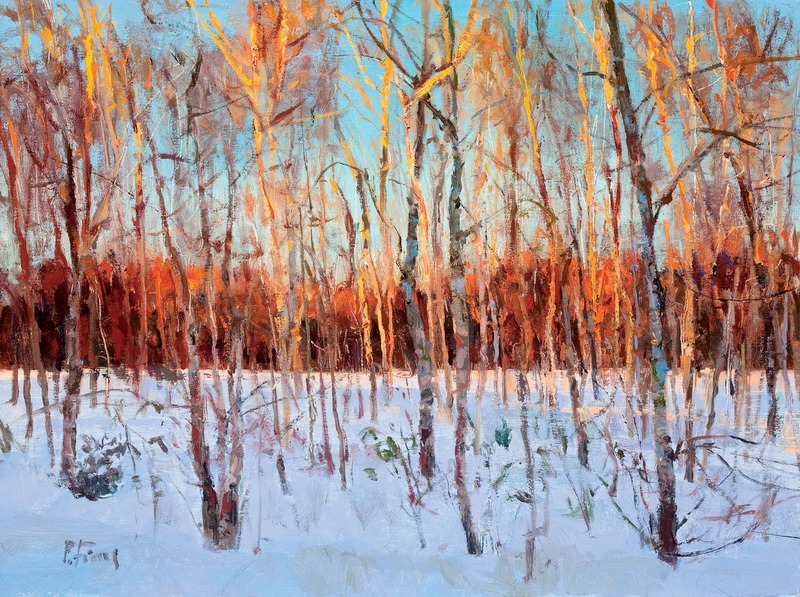 Covered in snow, the world reflects light and creates a spectrum of colors that are both dramatic and beautiful. 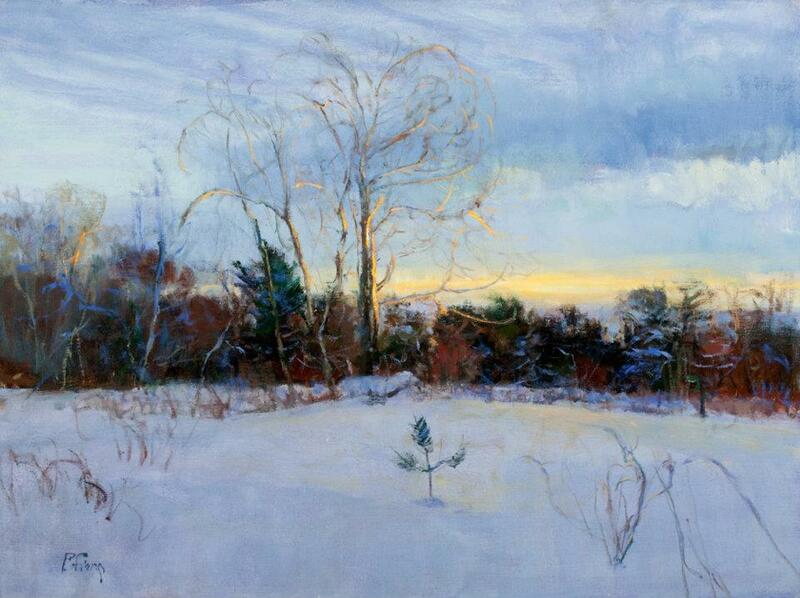 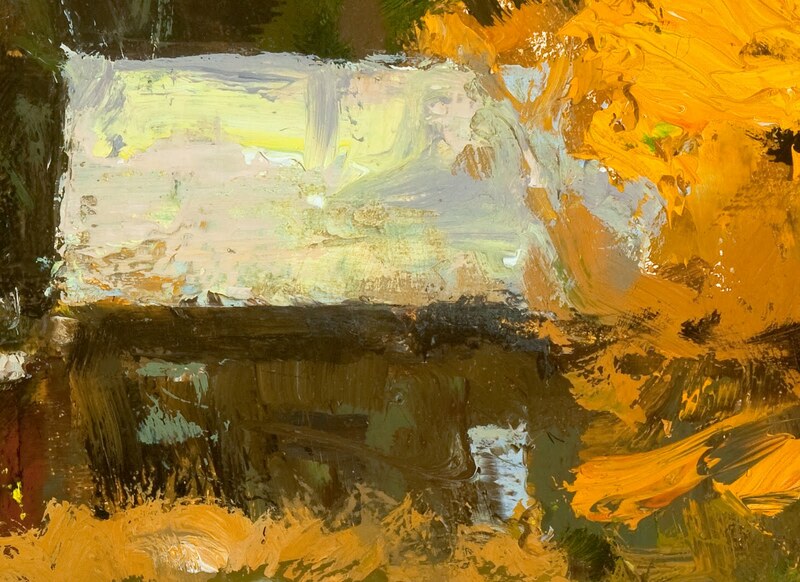 The true subject in any of my paintings is light and how it defines and endlessly changes the landscape around us. 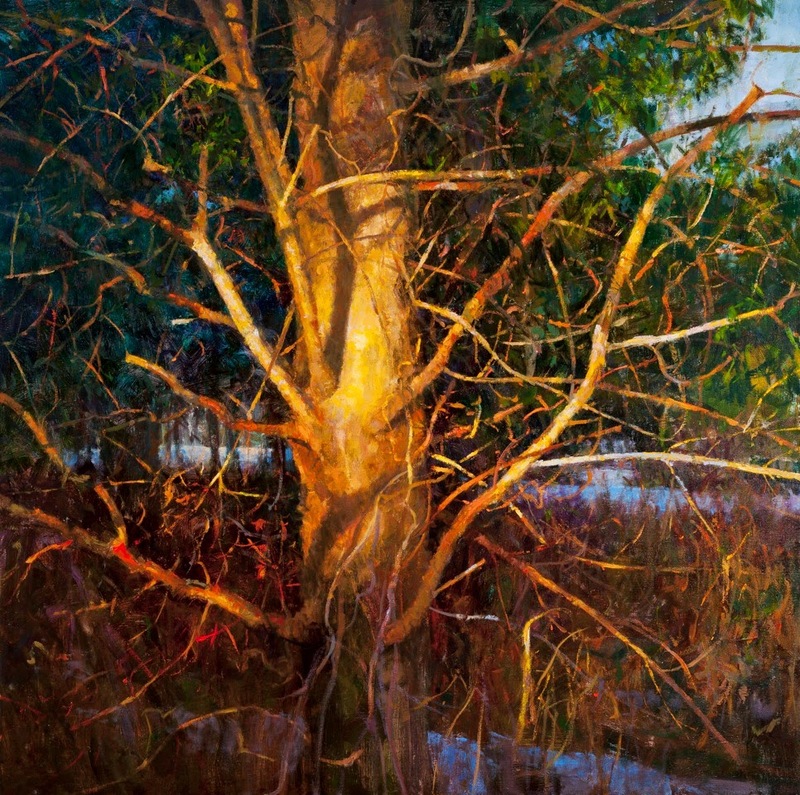 For me, light is more than a visual tool, it is an emotional subject. 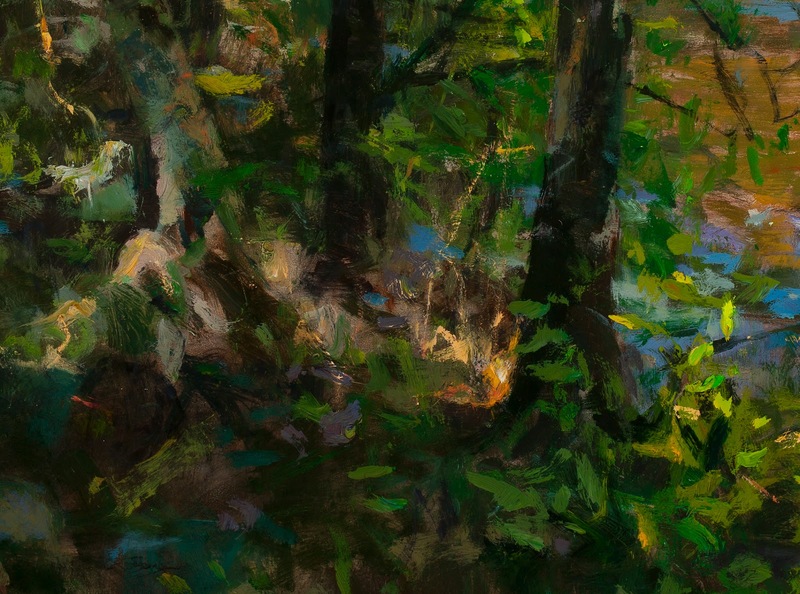 It is through the manipulation of light - how it falls, changes, sculpts, colors and creates various moods on a subject - that intrigues and inspires me. 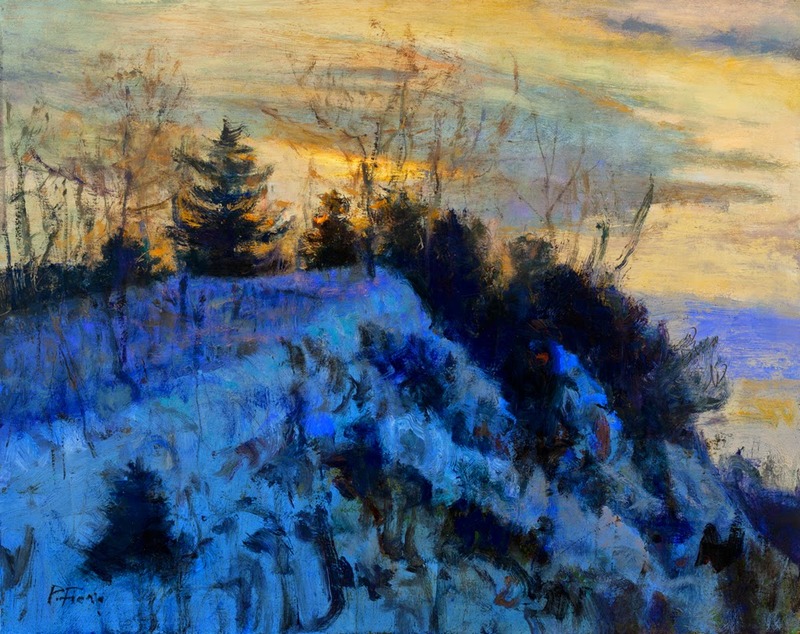 The first year ARC offered this award, juried by the magazines' editor Joshua Rose. 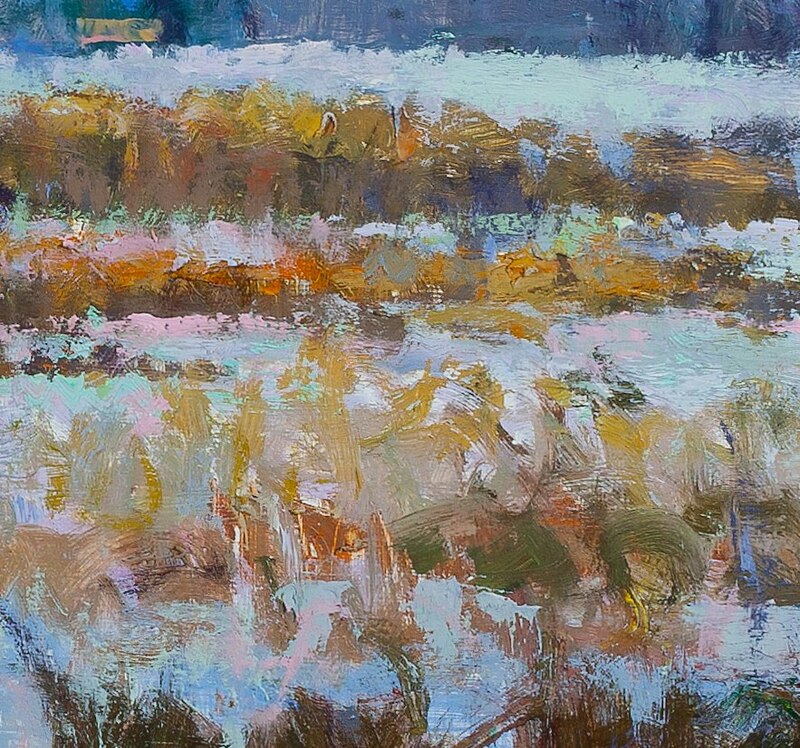 Finalist for Landscape in the Art Renewal Center’s 9th Annual International 2013/14 Salon Competition. 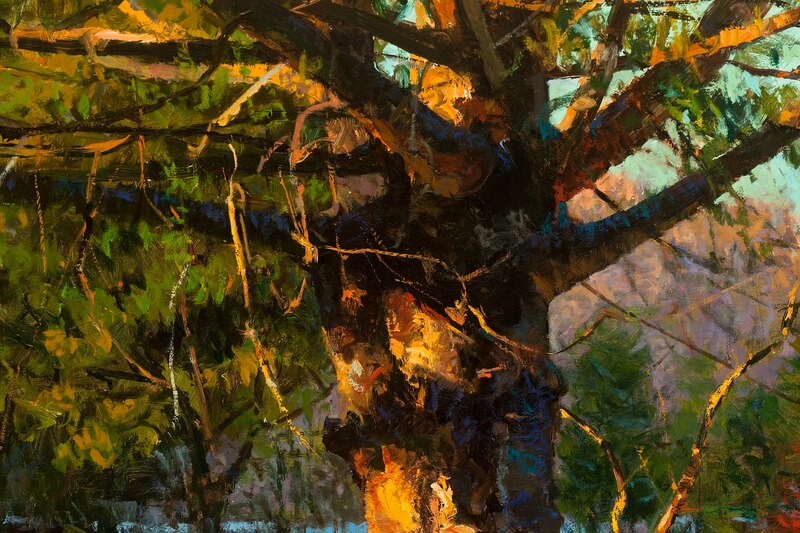 Peter has been named a Living Master by the Art Renewal Center. 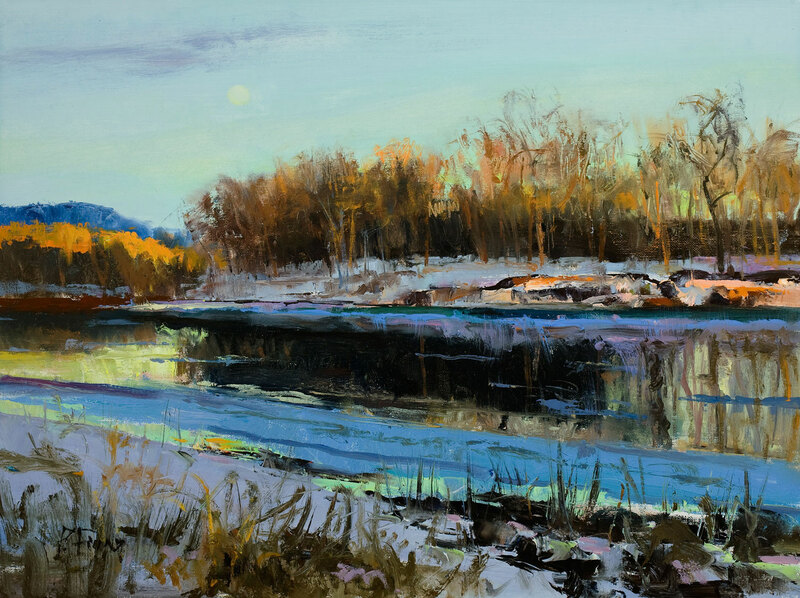 ARC defines a Living Master as one who has the rare talent, experience and expertise to create great humanistic works of art that are seemingly executed with effortless perfection. 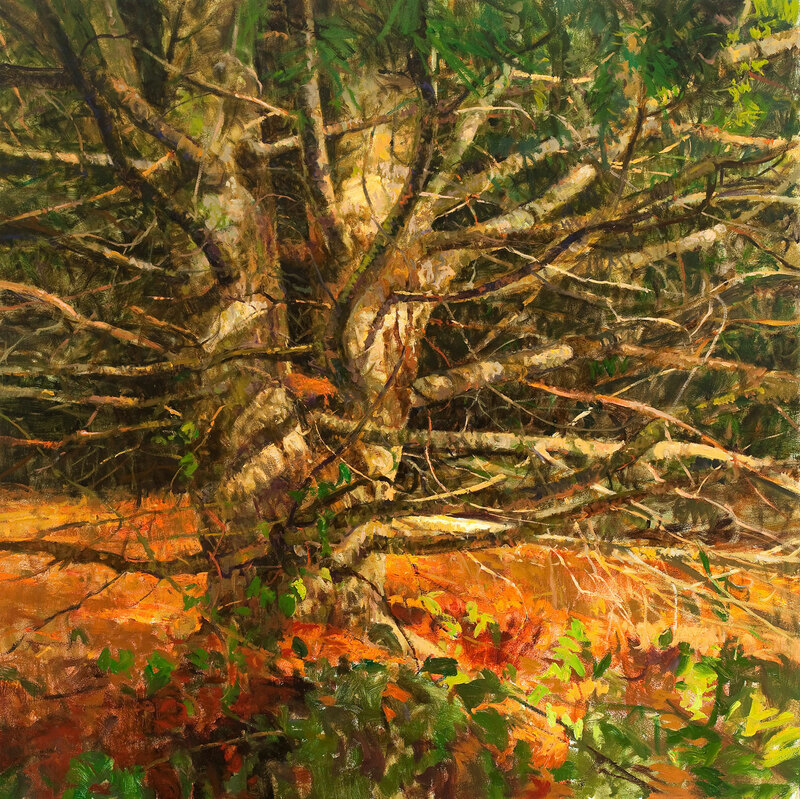 Grand Prize Winner in ACOPAL's competition. 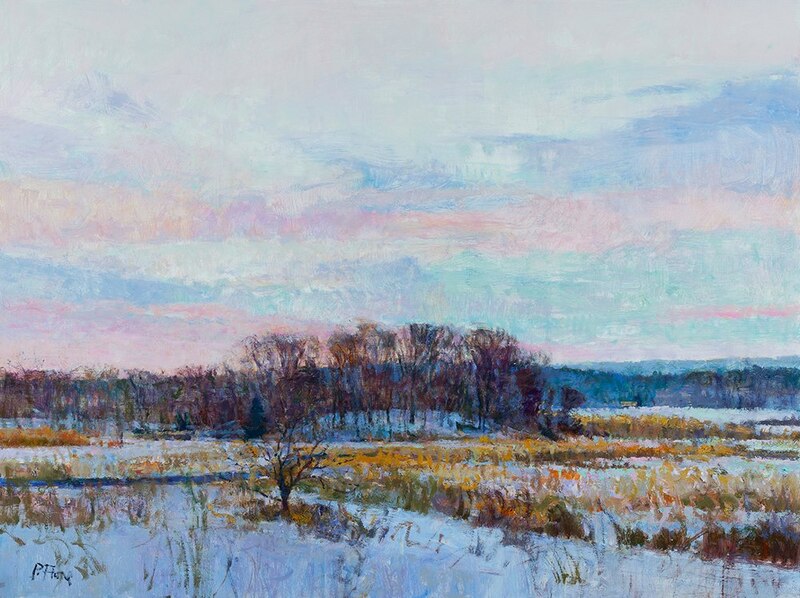 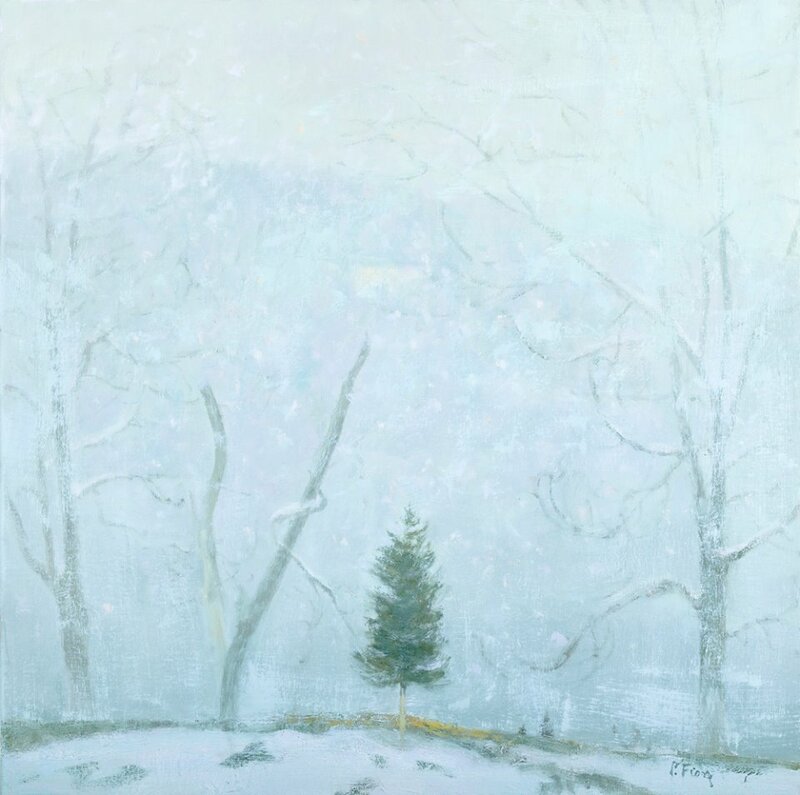 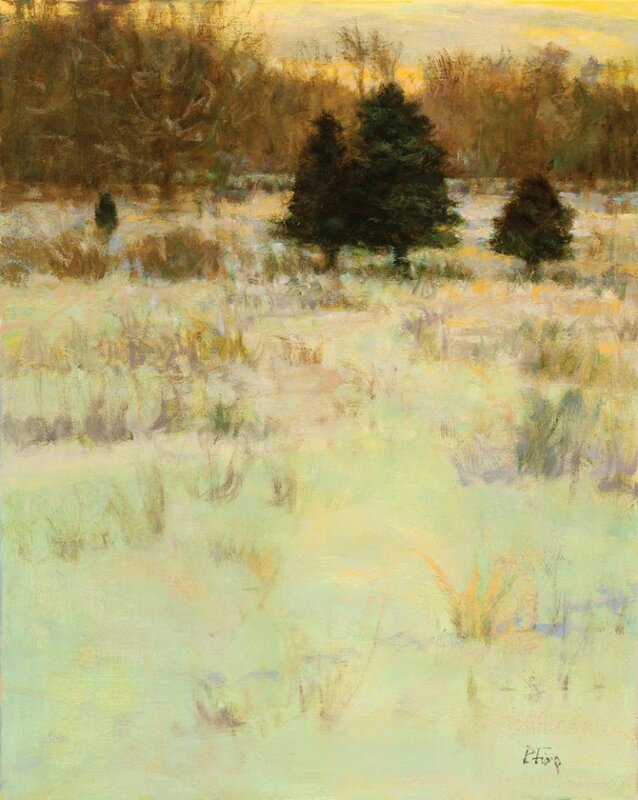 "Winter Storm Clearing will be exhibited along with members and other winners at the Butler Institute of American Art in Youngstown, Ohio from December 18th-February 26th. 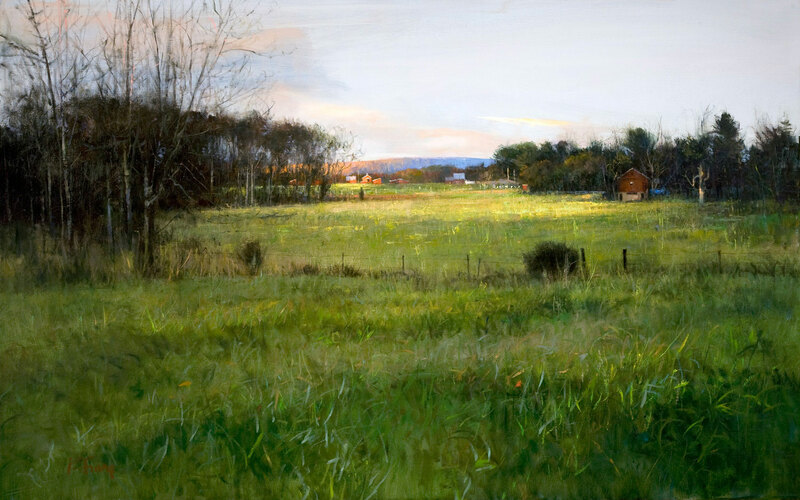 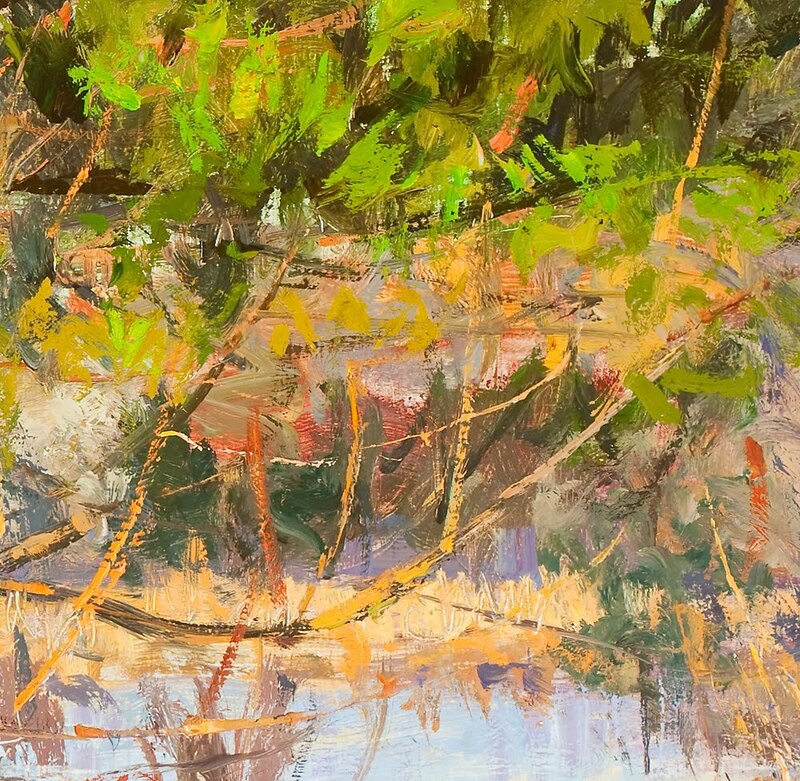 Top finalist for Landscape in the Art Renewal Center’s 8th Annual International 2011/12 Salon Competition. 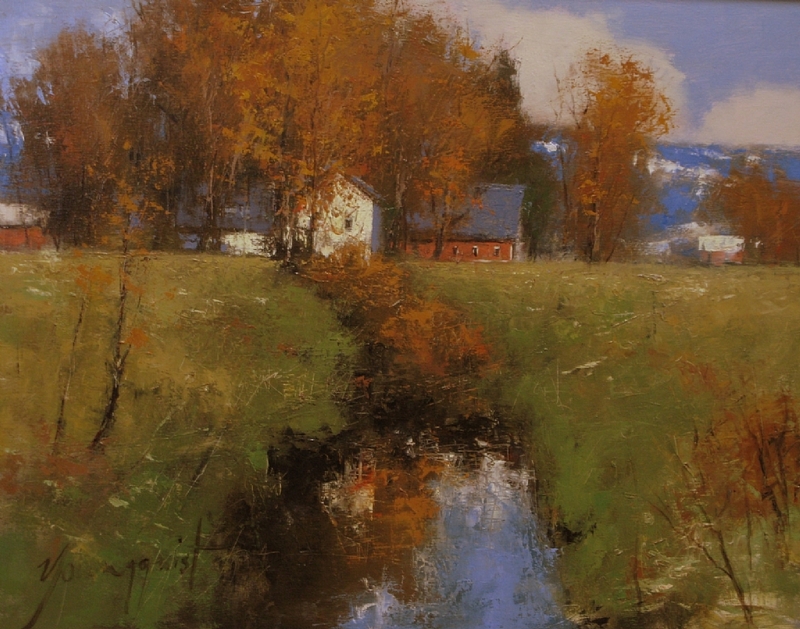 First Place for Landscape in the Art Renewal Center’s 7th Annual International 2010/11 Salon Competition as well as an honorable mention and 2 finalists. 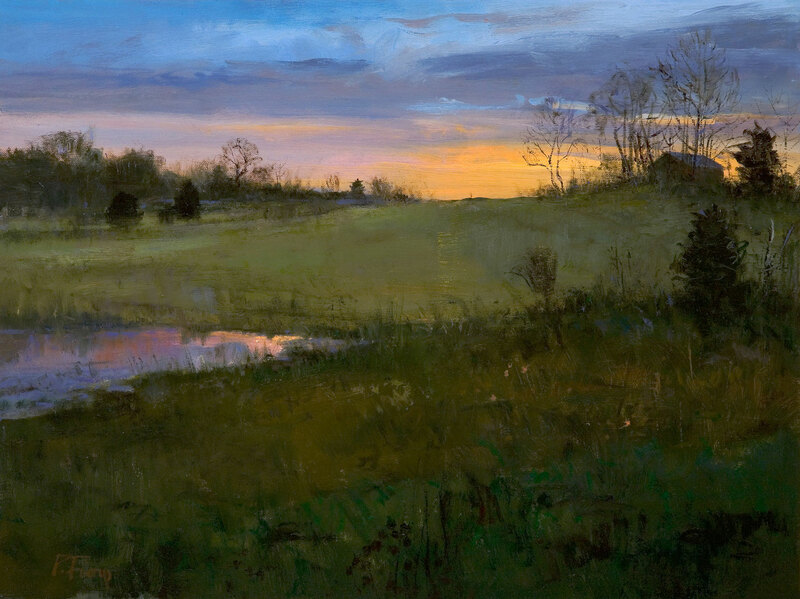 Top finalist in the Art Renewal Center’s 6th Annual International 2009/10 Salon Competition. 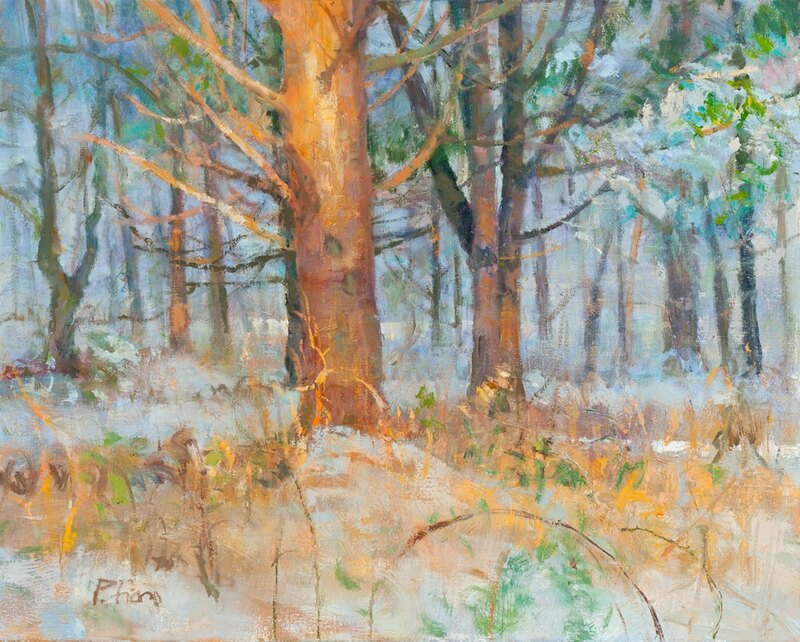 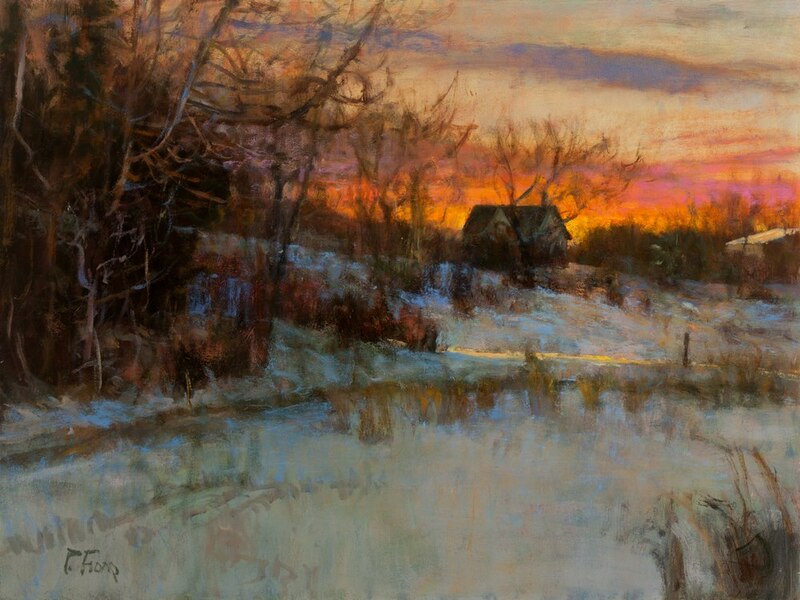 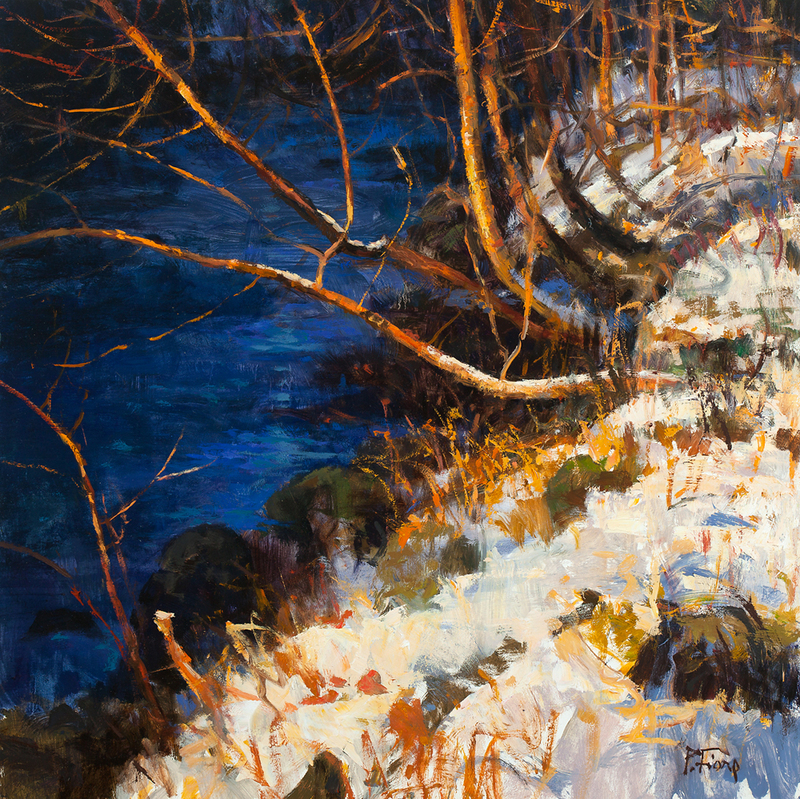 Two paintings, "January Awakening" and "Morning Light, Winter Stream" were chosen from the 1700 plus entries received from around the world. 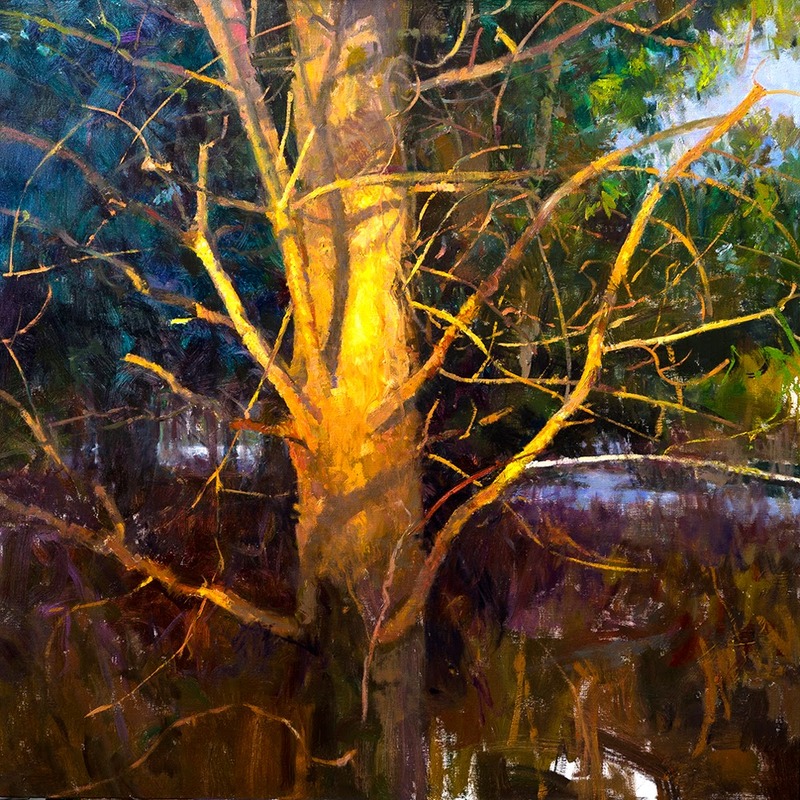 Honorable Mention and top finalist in the Art Renewal Center’s 5th Annual International 2008/09 Salon Competition. Two paintings, "Autumn Evening" and "January Shade" were chosen from the 1600 plus entries received from around the world. 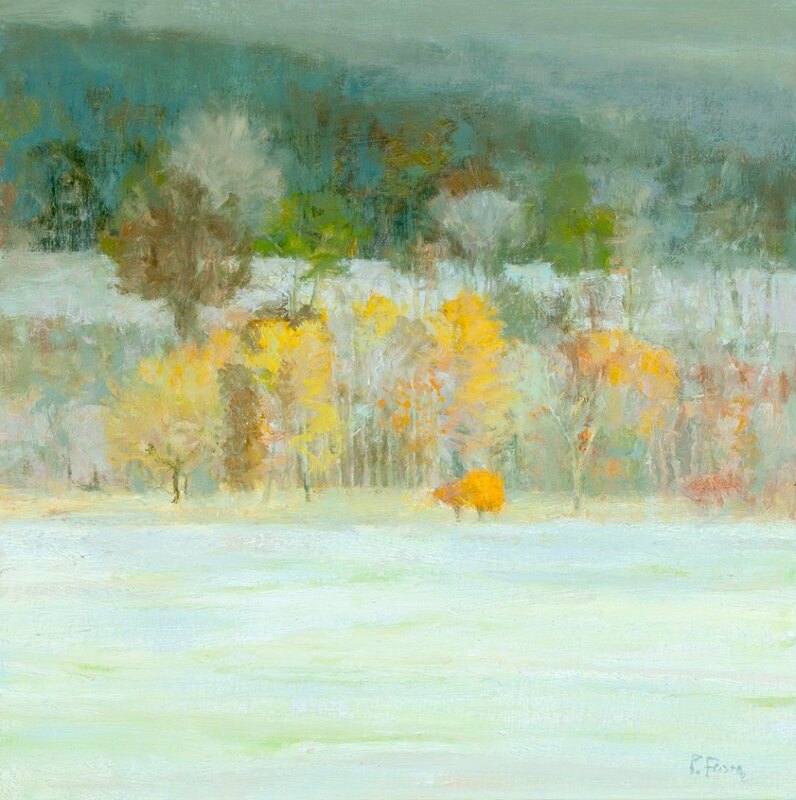 "Refreshing color. 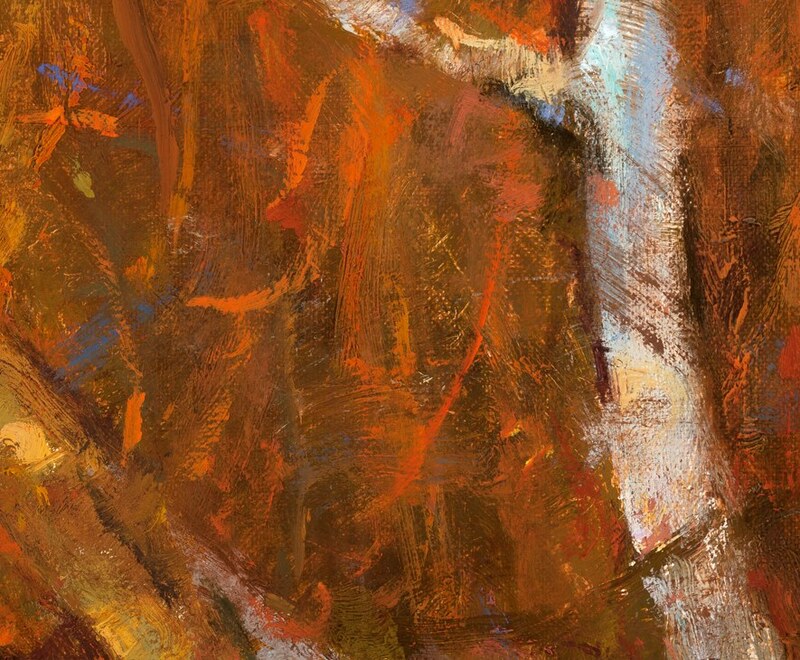 A painter's eye was there. 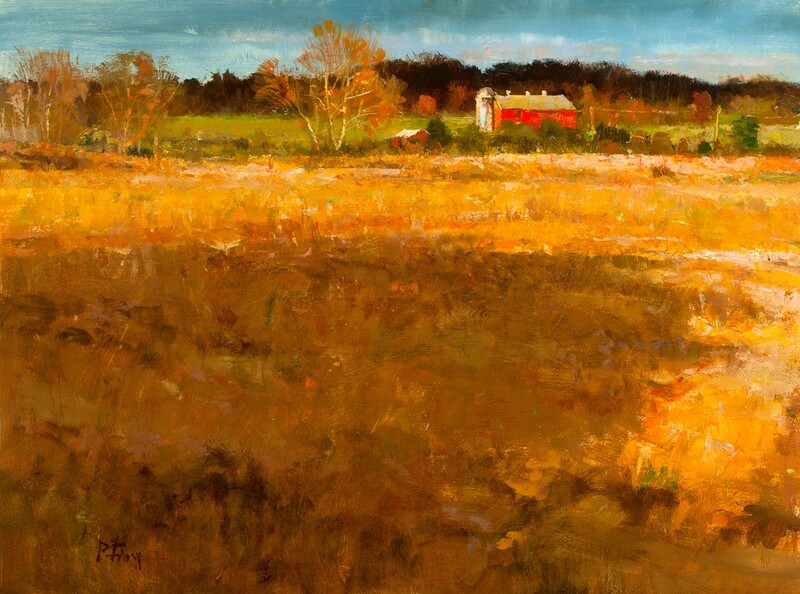 I was engaged by the blue foreground, the golden-lit focal area with the red barn. 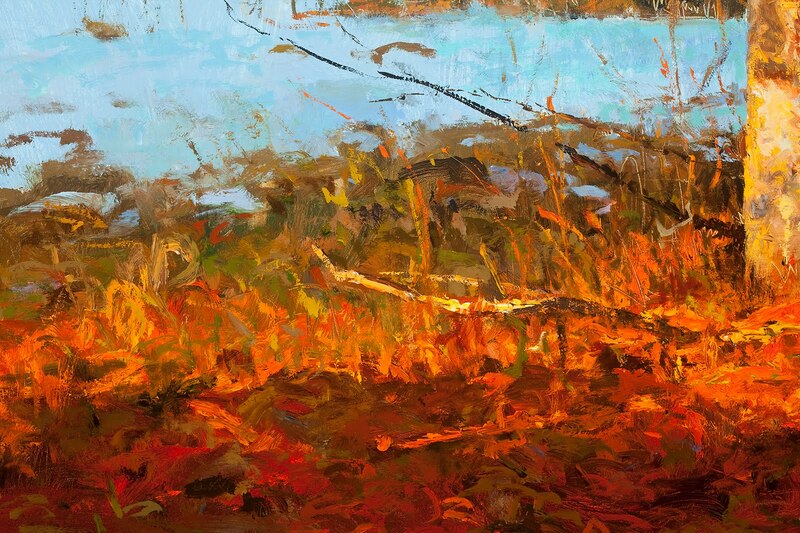 This is a painterly work". 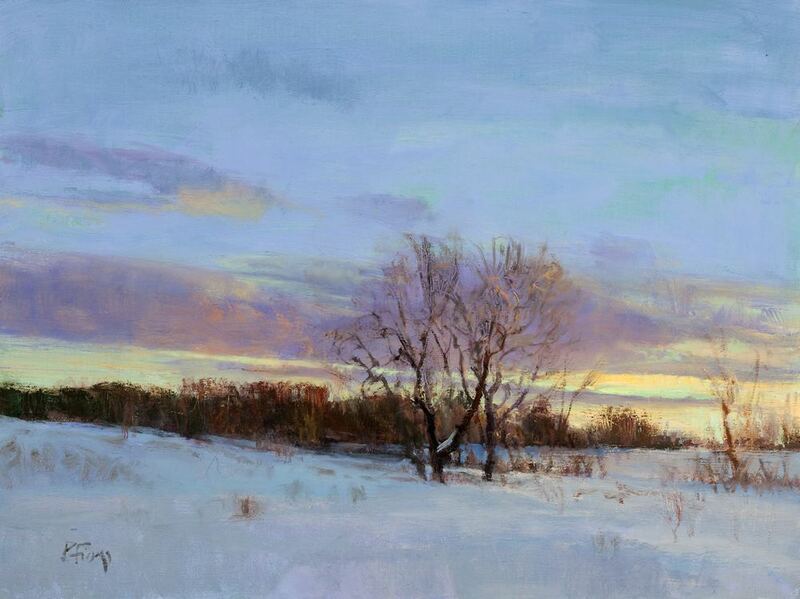 Selected as one of the top 100 finalists in the Art Renewal Center’s International 2007 Salon Competition. 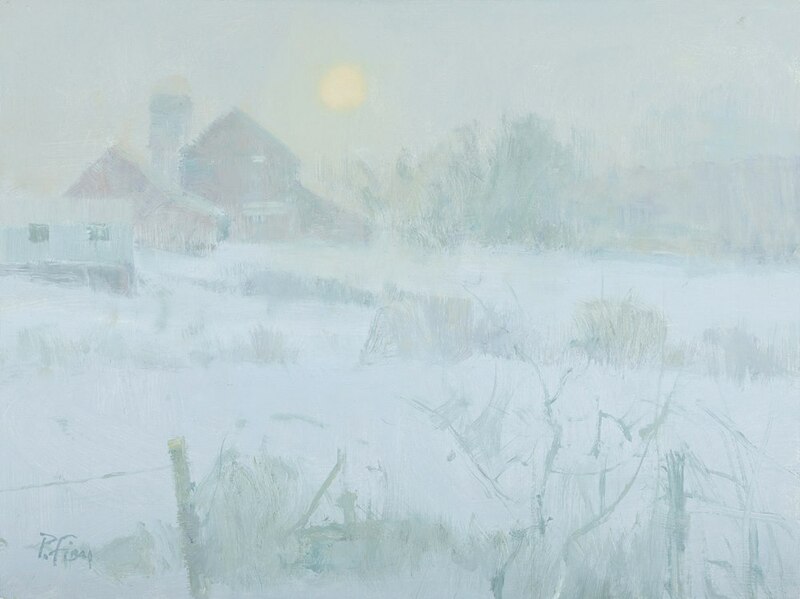 Three paintings, "January Snow, Early Morning", "Winter Sun", and "November Meadow, Sunset" have been judged and selected to be among the best out of the 1600 plus entries received from around the world.